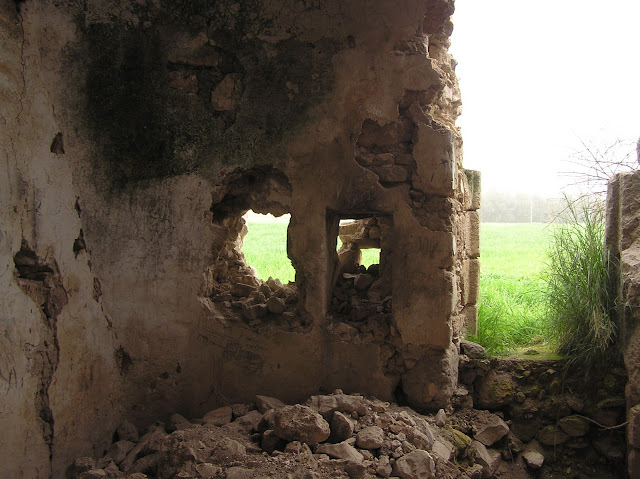 If he described this building, it seems that the Muslims grabbed a Christian chapel. The picture of D. Maxwell, 1918. Source. “The building, — writes A. Petersen, — consisted of a square cross-vaulted room with an open-vaulted canopy at the front and a smaller vaulted structure on the south side. 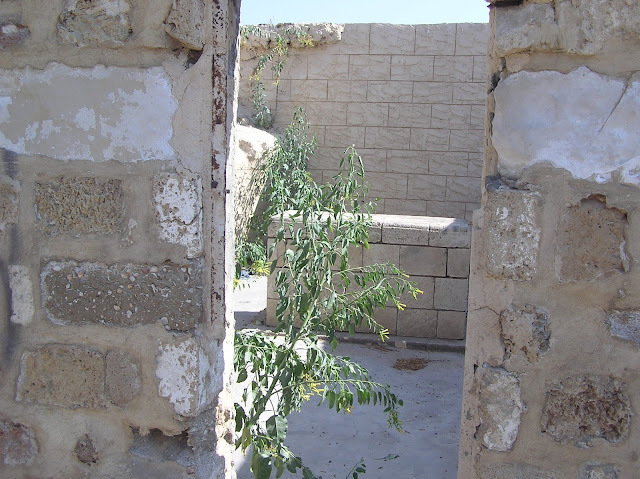 The doorway was surmounted by a white marble lintel and either side there was a rectangular window.” (2001, 97) Though already in 1994, according to A. Petersen, the building was derelict, many of the facing stone had been removed and the building appeared to be in danger of falling into the sea (Ibid. ), nothing has been done to maintain the structure for the past 18 years. 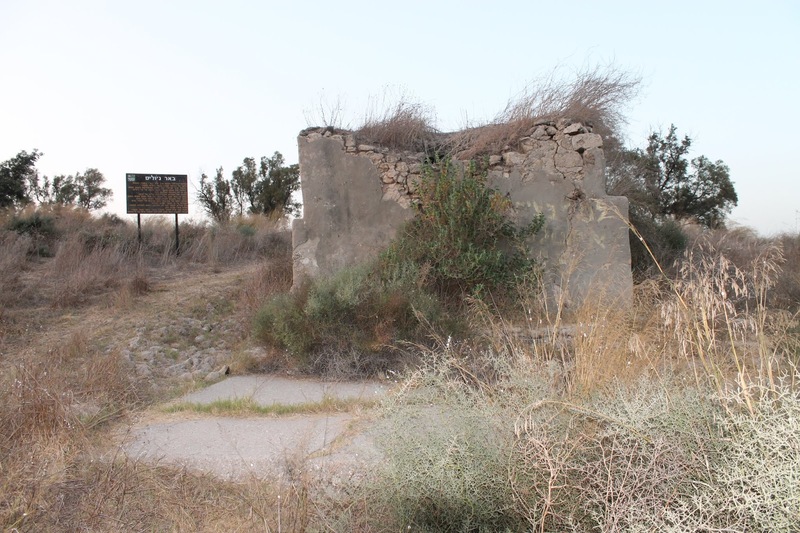 Please keep in mind that the monument is located in the heart of the National Park, and a great amount of reconstructive and sham work has been done about other objects situated there. More than a half of the Green Mosque is in ruins and the destruction continues. 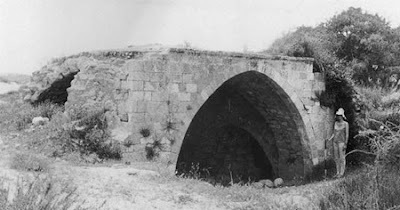 Khirbet as-Sukrieyh (as-Sukriya) has been known from 19th century. It is mentioned by E. Robinson, V. Guérin, C. Conder, E. Palmer and other researchers. But A. Petersen was the first to tell about a Muslim shrine in this place. 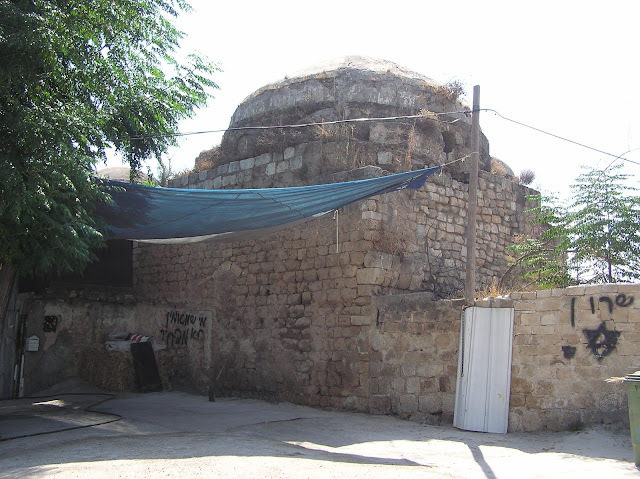 This is Maqam sheikh Abu Ghazala which has survived to the present days in a relatively decent condition. It is strange, however, that V. Guérin who walked Khirbet as-Sukrieyh all through and examined two ancient wells and parts of a marble column lying on the ground (Judee II 304) said nothing about the sheikh's tomb. It was impossible not to notice it; it was seen from afar. 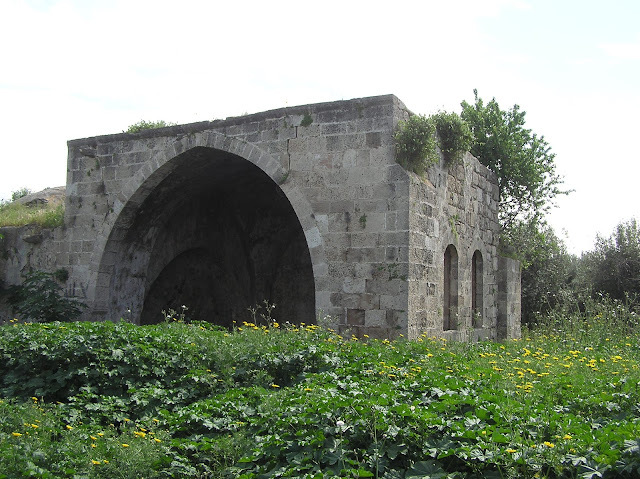 Probably, during this time, in 1860s there was no maqam, and it was built later. 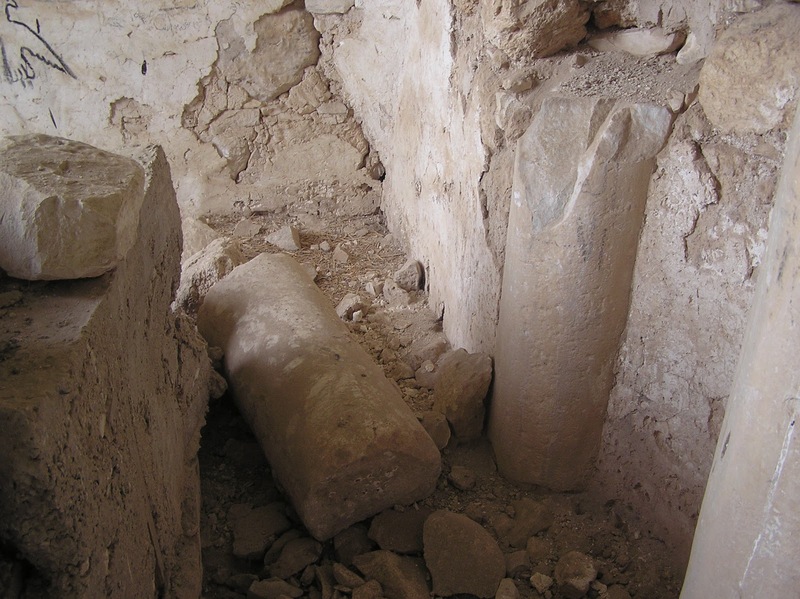 Anyway, when the tomb was constructed, fragments of marble columns similar to those ones which V. Guérin wrote about were used. 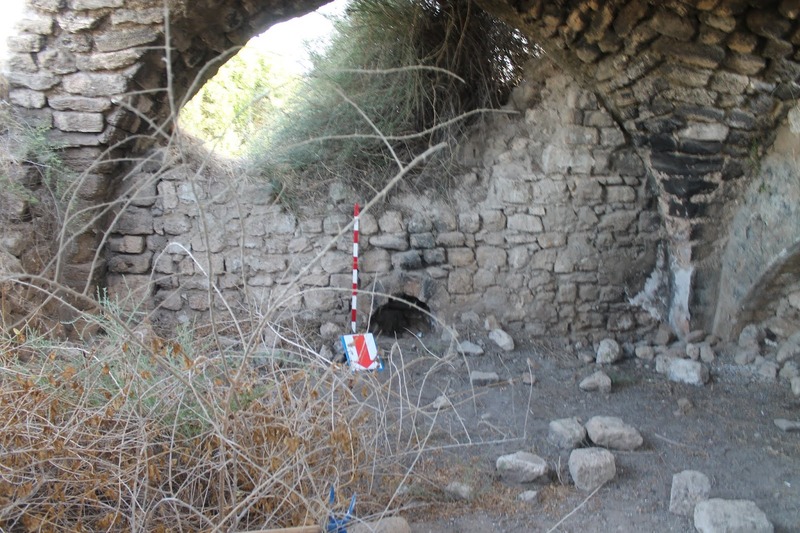 A. Petersen indicates that during a Mandate period a khan (hotel) existed in Khirbet as-Sukriya which was examined by researchers in 1929. 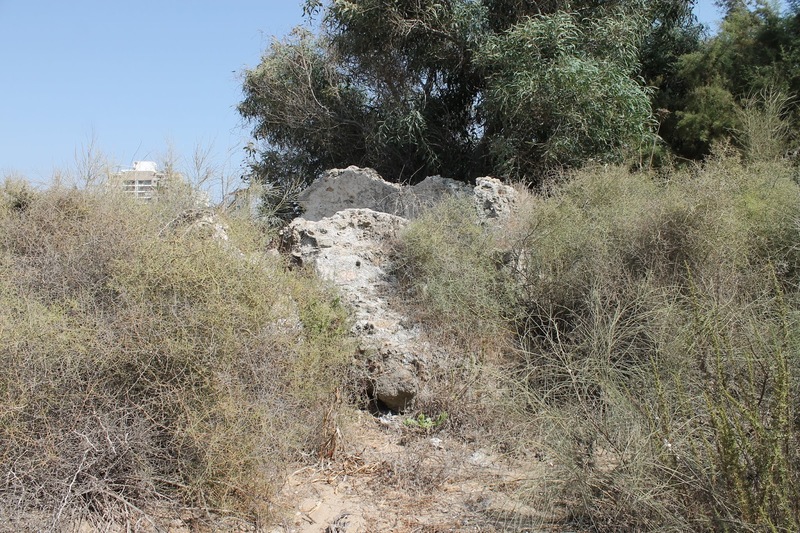 However, researchers told nothing about any maqam on Khirbet as-Sukriyya. 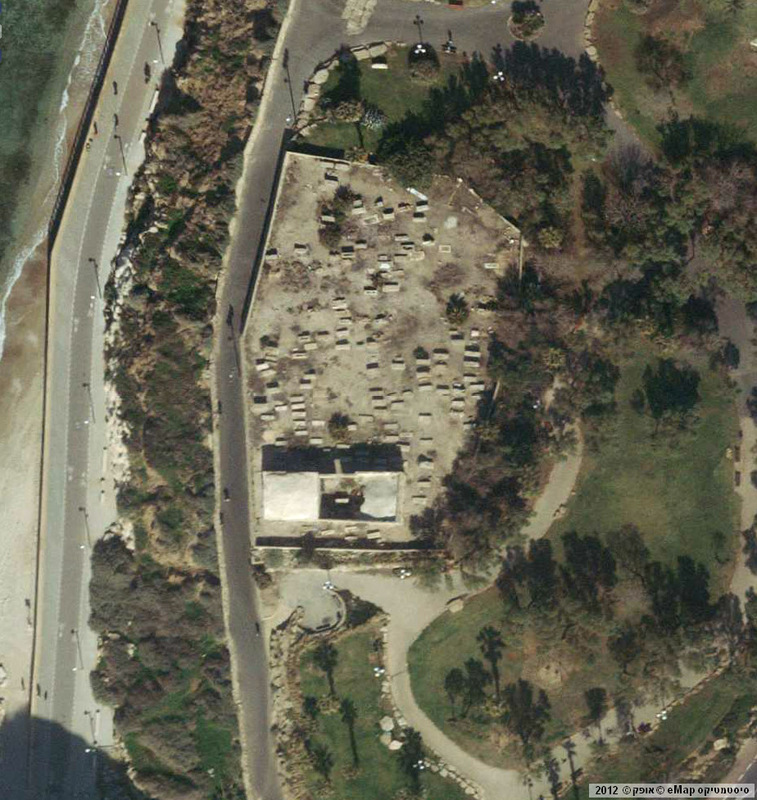 Thus, it is quite likely that the maqam was erected on khan’s ruins some time after 1929. 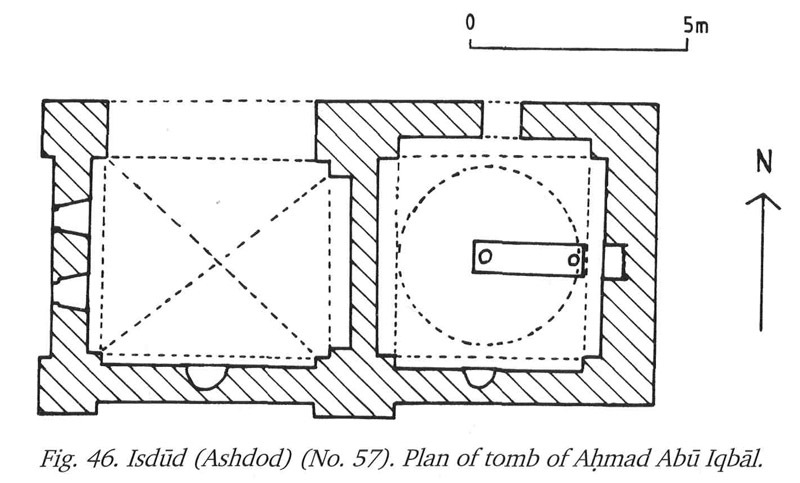 “Features of the present structure (such as the continuation of the walls to the east and west and the unusual construction of the mihrab) strengthen this interpretation.” (2001, 289) Describing this tomb A. Petersen does not tell the name of the buried person. We learn that the maqam belongs to sheikh Abu Ghazala when studying the British map of Palestine. The maqam represents a cube having dimensions of about 6.75 x 6.75 x 3.00 m. Herewith, its angles are indeed somewhat bevelled, due to which outside the structure is rather an octagon. Inside it is a square 4.70 x 4.70 m room. 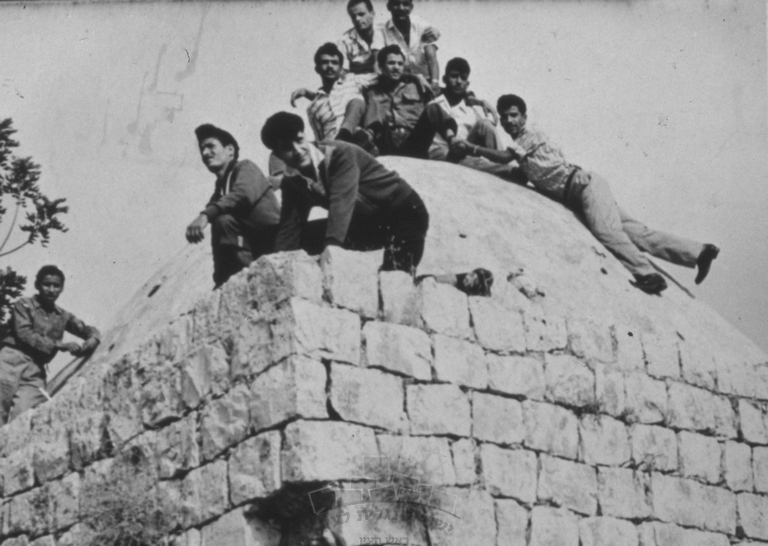 A high conical dome (1.60 m) is quite rare for Palestinian maqams. We can see approximately the same picture nowadays. 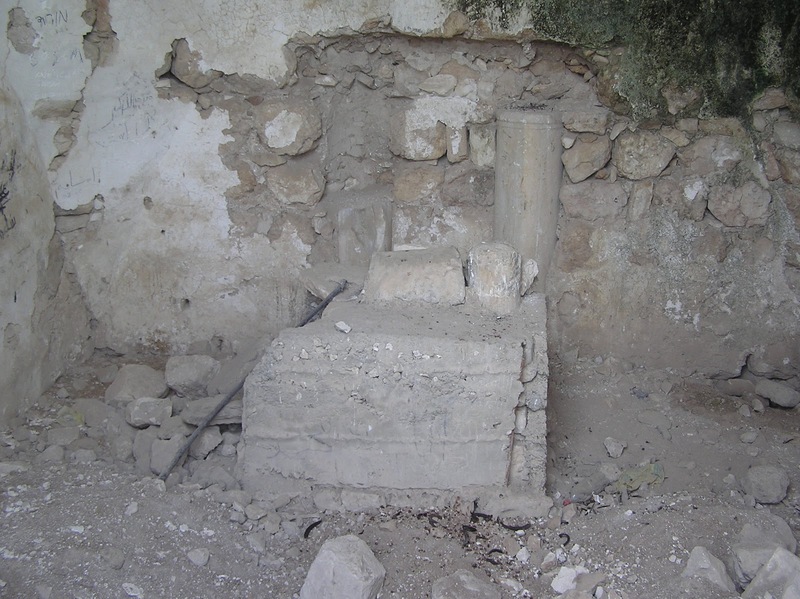 But only a marble lintel fell on the floor above a mihrab and plasterwork dropped from tomb's walls. An iron hook hangs down from the apex of the dome, to which, most likely, an oil lamp was hanged some time ago. 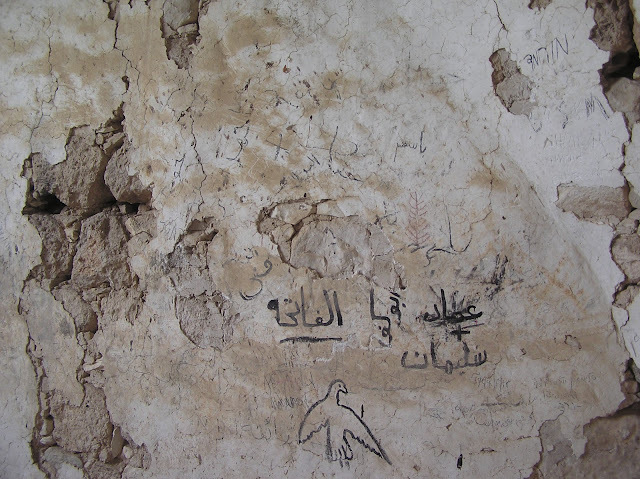 Fresh Arab inscriptions and pictures appear on tomb's wall what testifies that the sanctuary is visited by Muslims. Route. From the Highway 40 we turn to Route 3403 leading to No‘am moshav. Maqam is located to the south of a Jewish cemetery which stands on the left side from Route 3403 before an entry to moshav. 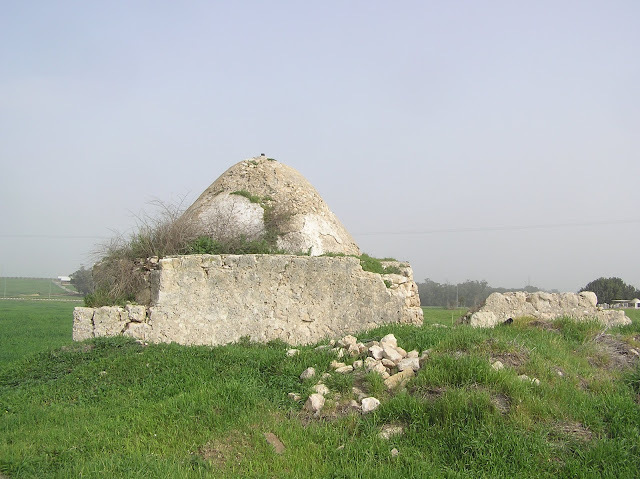 In a former Palestinian village Isdud (nowadays Tel Ashdod) three Muslim shrines were known. 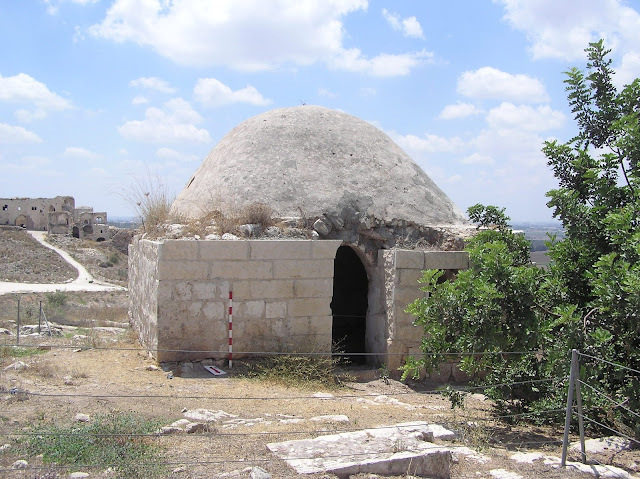 One of them – the tomb of sheikh Ahmad Abu Iqbal – has survived to the present day. Researchers of the 19th century do not mention the tomb of Abu Iqbal although they describe two other shrines in details: tombs of Ibrahim al-Matbuli and Salman al-Farsi. 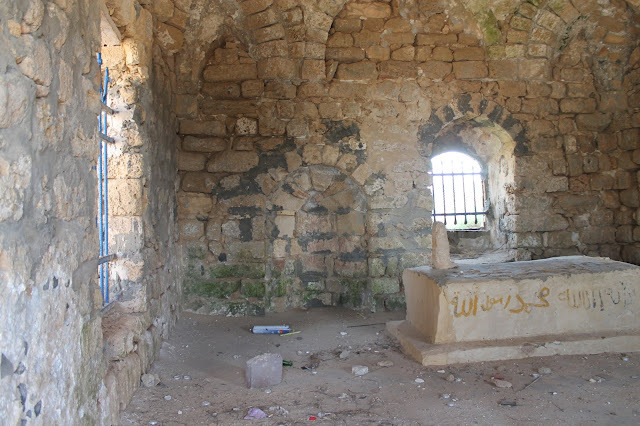 Pictures of these shrines can be seen in Picturesque Palestine (Wilson III 165) and in pictures of G. Harper (1894). Impression is such that maqam of sheikh Ahmad Abu Iqbal did not yet exist in 19th century. But still this structure must be dated to Ottoman period. 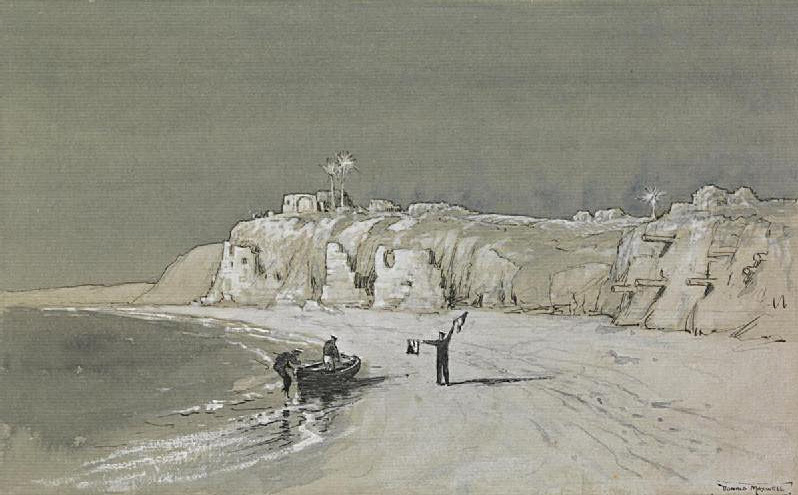 Probably, it appeared in the very beginning of 19th century. 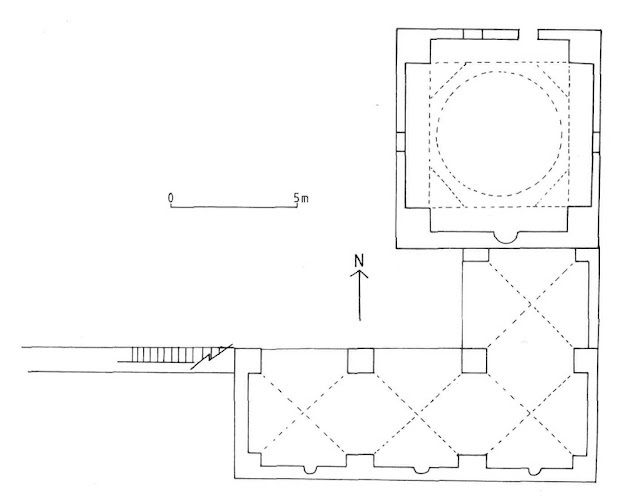 Here is the description of A. Petersen who examined the monument in 1992: “This building consists of two parts arranged side by side, a square domed chamber (approximately 5m x 5m) on the east and a cross-vaulted Iwan to the west. It is apparent that the Iwan abutts the tomb chamber and was built some time later. 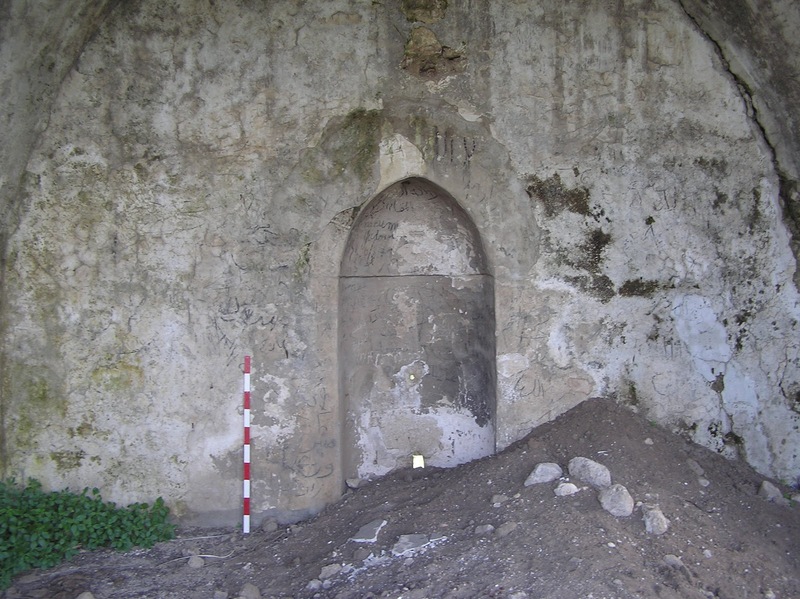 The domed chamber is entered from a low doorway in the middle of the north wall. In the centre of the chamber beneath the dome is a large rectangular covered cenotaph. 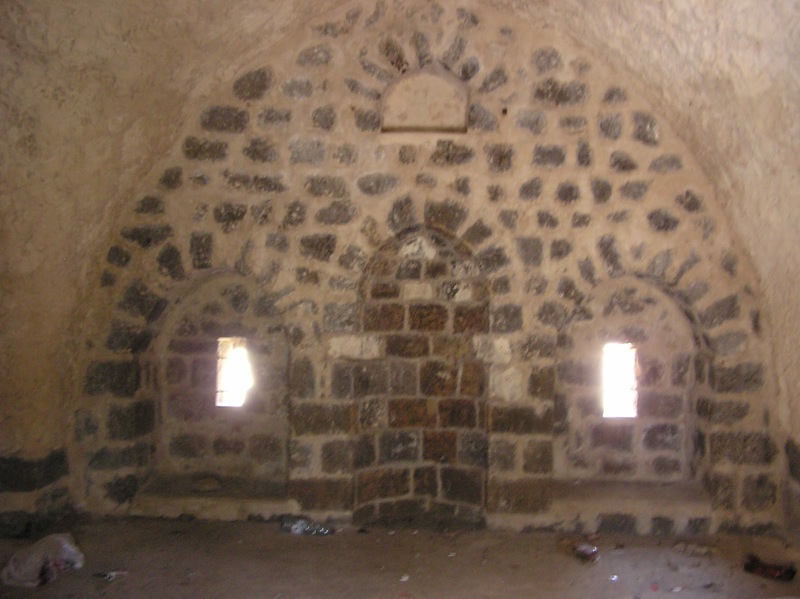 There is a plain concave mihrab in the middle of the south wall and a square niche for lamps set into the east wall. 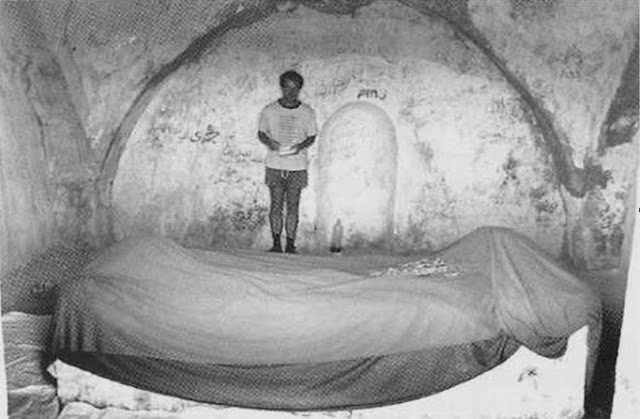 The room is covered with a shallow (saucer-shaped) dome resting on pendentives springing from ground level. The dome is crowned with a broken marble finial. The cross-vaulted Iwan is taller than the domed chamber although it has a ground plan of equal size. The north side of the building consists of an open arch with a cyma recta cornice above. There are two projecting waterspouts set into either end of the cornice. The west side of the Iwan contains two rectangular windows covered with shallow arches. 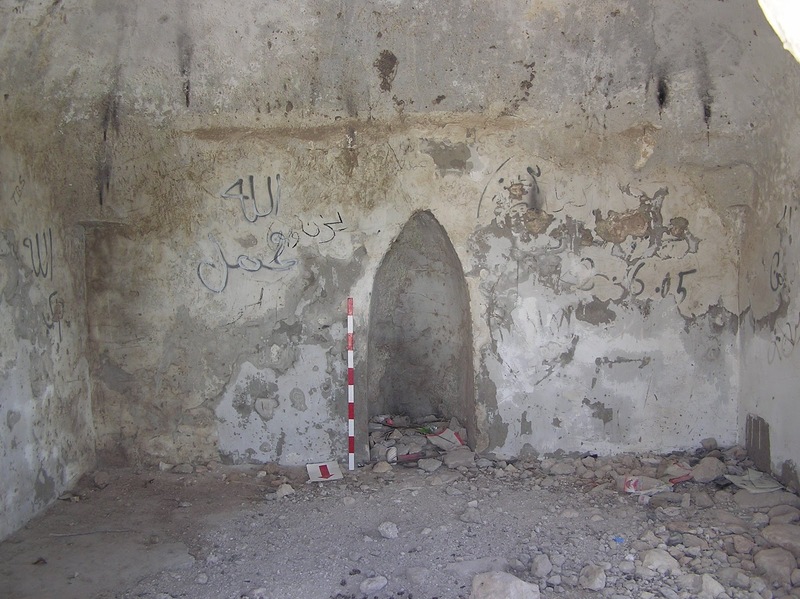 In the middle of the back wall of the Iwan is a shallow mihrab with a pointed arched hood” (2001, 156). Sizes of the structure are as follows: the entire facility occupies the area of approximately 7.0 х 14.0 m, maqam itself – 7.0 х 7.0 х 2.80 m. Lately restoration works have been performed in a Prayer hall (Iwan) and in a burial room. 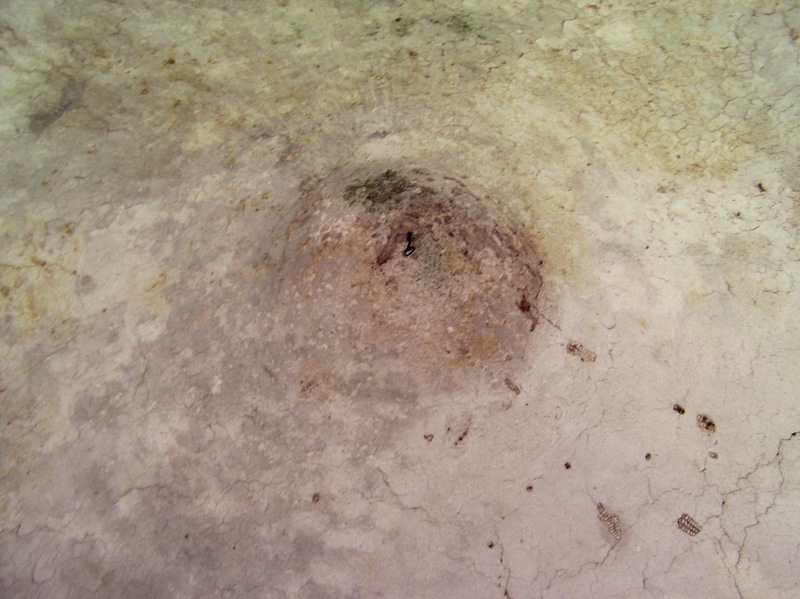 Some walls and domes of maqam are filled with cement using a wooden forwork. Herewith, if we compare it with a photograph made by A. Petersen in 1992, a cenotaph was significantly damaged. Outside the structure, an almond tree grew in the south-western corner. Rain water chutes laid on the roofs of maqam and a Prayer hall are interesting. Route. 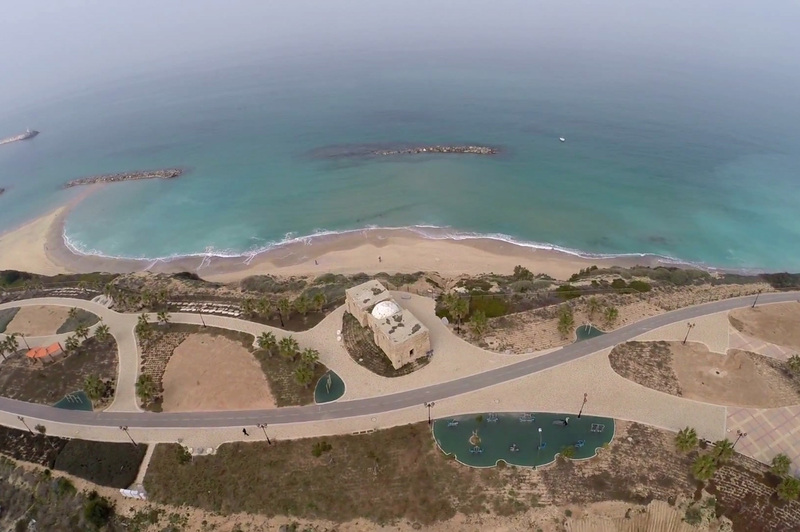 At present it is possible to get to Tel Ashdod only through the industrial area ‘Ad Halom, to which you should turn from the from the Highway 4. 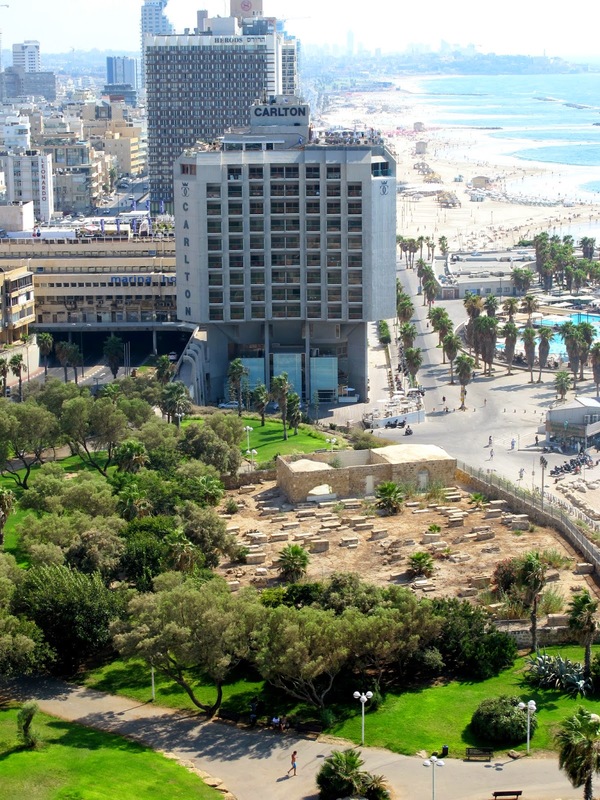 Across the Industrial area you should pass first along Bareket street (ברקת), then along Topaz street (טופז). 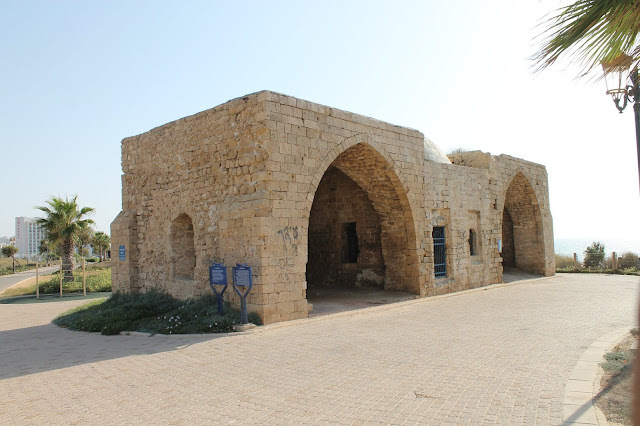 Maqam `Abd an-Nabi in Tel-Aviv has a counterpart in Ashkelon, the maqam on sheikh `Awad. 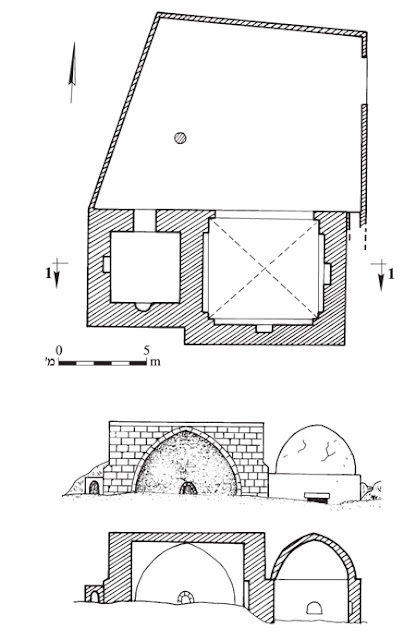 The same coastal plain location, the same three-part structure: domed part in the centre, and 2 vaulted rooms on both sides. Even the sizes are similar. Though these two counterpart maqams have a different destiny. 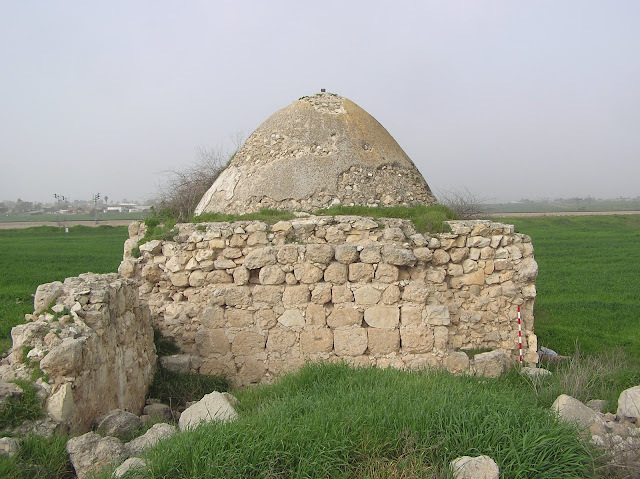 The tomb of sheikh `Awad easily matched the cultural landscape of modern Ashkelon. The Maqam looks well treated, tiled around with flagstones, and lit with lanterns at night. 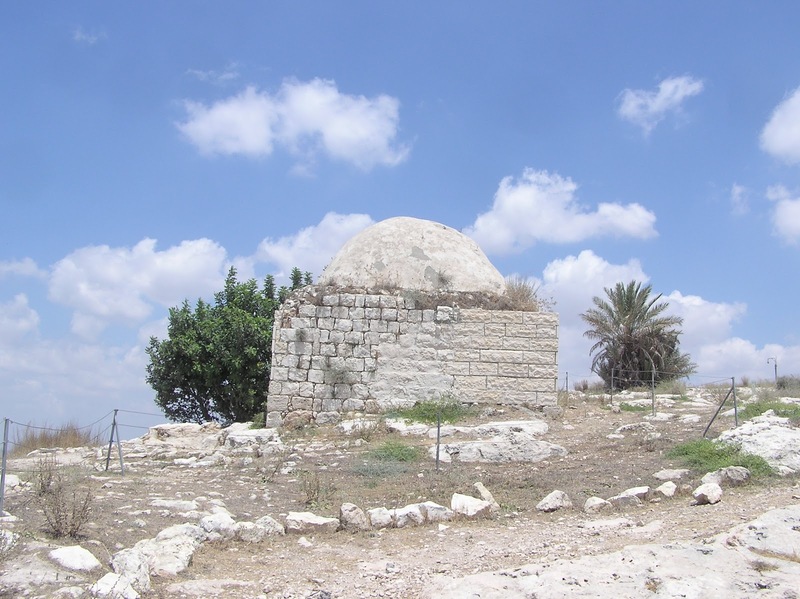 The tomb of sheikh `Awad is marked as a place of interest and recommended for tourist visiting. We met a wedding cortege and a bride making a photoshoot with the Muslim sanctuary in the background. A. Petersen made a detailed description of this building, “The shrine consists of a square domed room flanked by two cross-vaulted chambers. The roof of the central domed room is significantly lower (approximately 2m) than the vaulted structures either side. The vaulted structures each have a similar design consisting of a large open archway facing north with windows on the west and east sides, one leading into the central chamber and the other open to the exterior. There are no openings on the south side. Each of the open archways is surmounted with a cornice decorated with a billet moulding. The roof is drained by four water spouts which project from the south side (only one of these is complete). 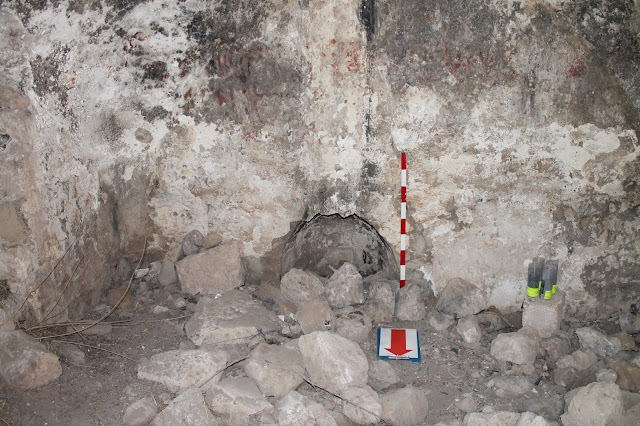 The central chamber is entered through a doorway at the east end on the north wall. In the centre of the north wall there is a window (possibly the original doorway). Both the doorway and the window are slightly recessed from the exterior wall of the building. Inside the room is a cenotaph (aligned east-west) with a plain mihrab on the east side of the south wall (i.e. in line with the doorway). 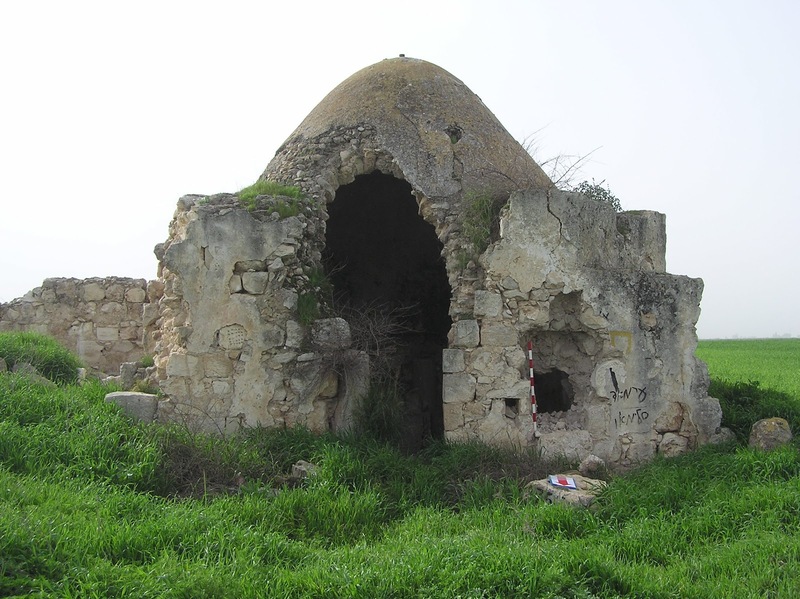 The dome rests on four squinches and four blind arches. Each squinch consists of two stone arches, a large outer arch and a smaller recessed inner arch. Within the smaller arch is a small pendentive terminated by a twin-lobed impost block (console). 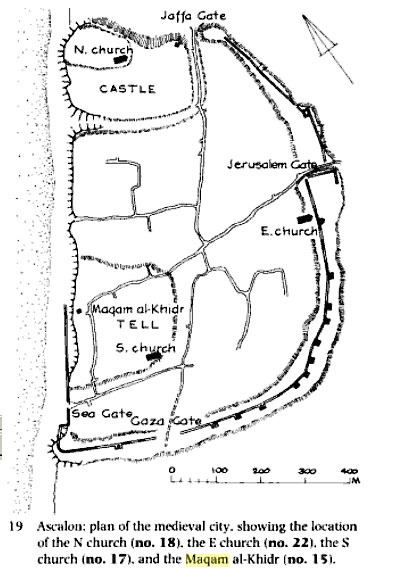 To the north of the shrine there are traces of a rectangular enclosure which has since been demolished. The age of the building is not known although it is clear that the two side chambers are later and may be confidently dated to the nineteenth or late eighteenth centuries on the basis of architectural features such as the billet moulding used as a cornice, high arches, and large windows. The central domed room is more problematic, although the use of squinches usually implies an earlier date (i.e. pre-eighteenth century)” (2001, 98). This description should be enlarged. 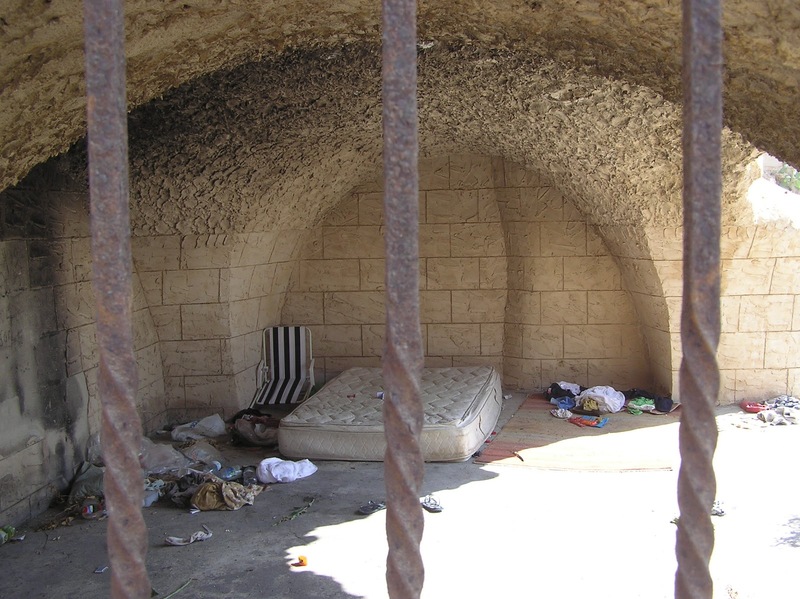 The entrance to the burial chamber was locked, and windows barred. On sheikh`s cenotaph an Arabian caption reads Shahada. 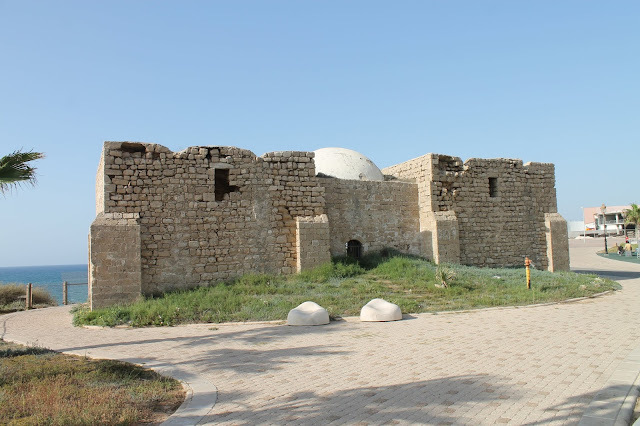 There is a touristic stand with the information as follows, There is a touristic stand with the information as follows, “This structure is the burial place of Sheikh Awad, whose identity is unknown, dated to the Mameluke era (1260–1516 A.D.). The central chamber has a prayer recess (machrab sic!) in the southern wall facing Mecca. 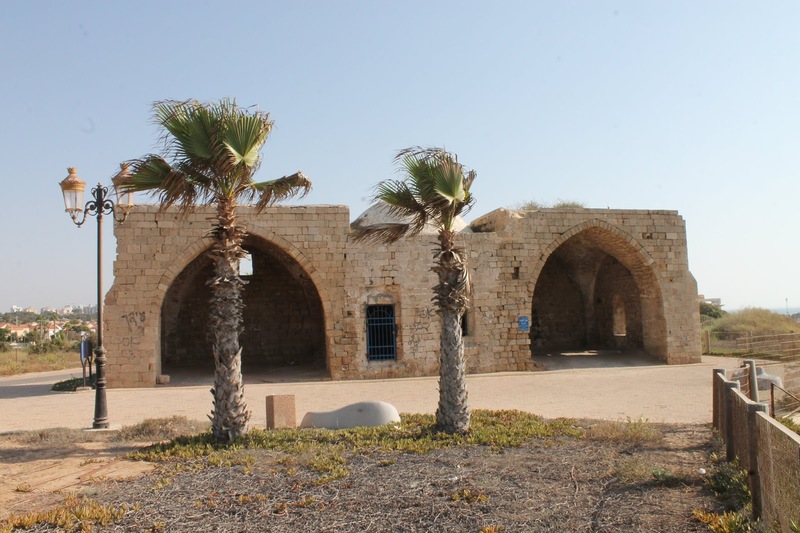 This building is part of a series of holy sites built by the Mamelukes along the coast, in their attempt to strengthen the western frontier of the country”. It is obvious that municipal administration of Ashkelon made the memorial significantly older. The dates given by A. Petersen is rather true. 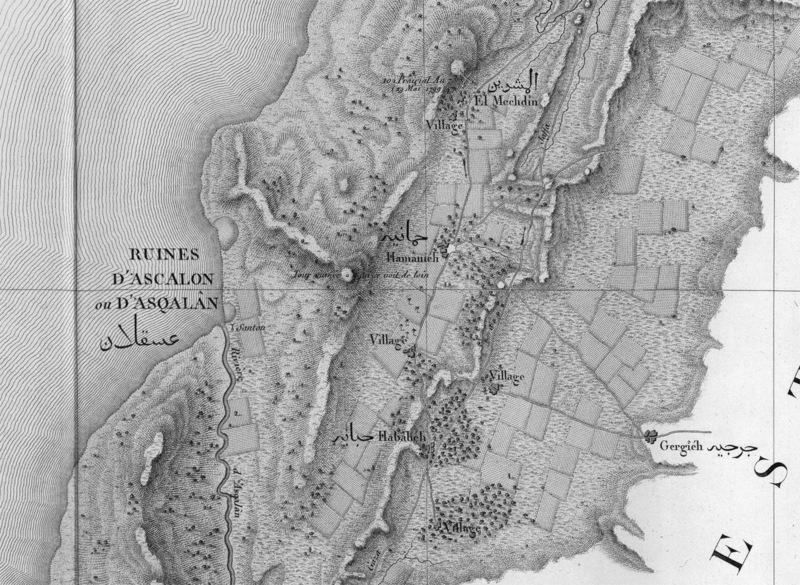 On the map of Pierre Jacotin (1799) to the north from Ascalon ruins there is a coastal plain Muslim shrine (Santon). 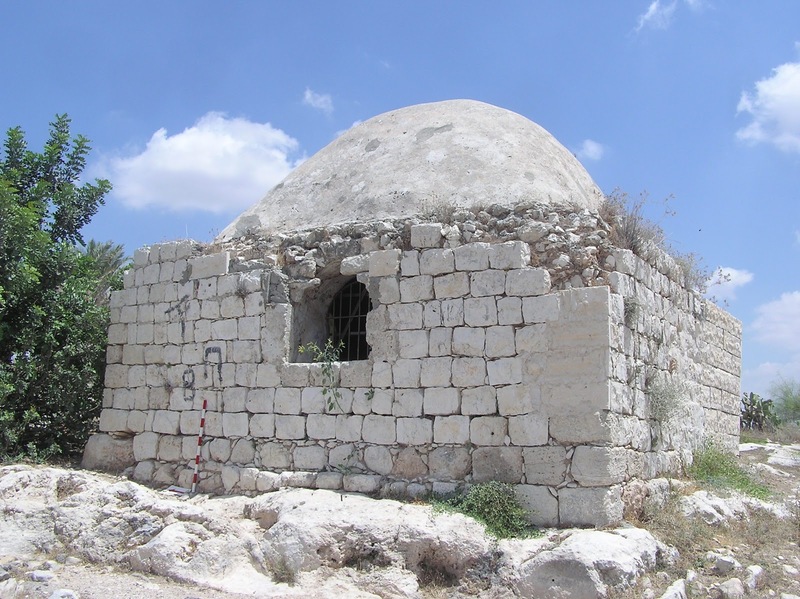 It might be the first documentation use of the Maqam of sheikh `Awad. 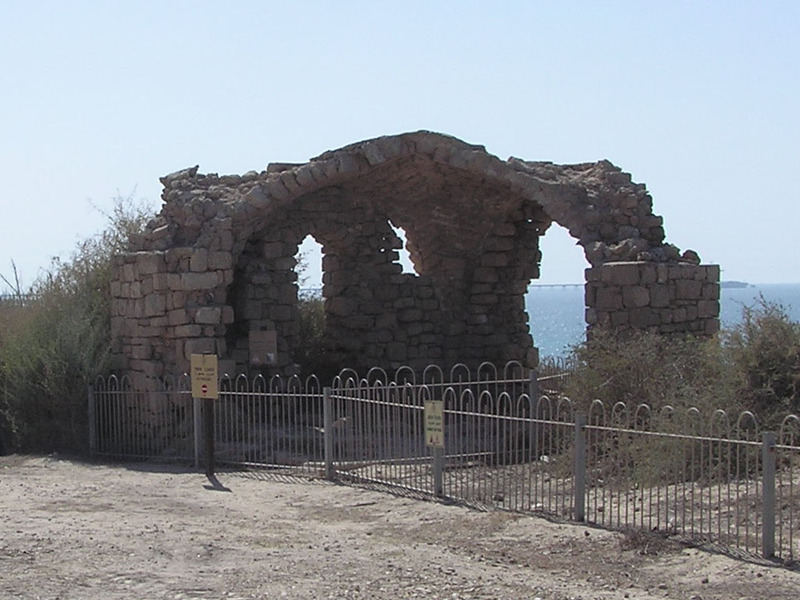 Route: The Maqam is located on Bar Kochva Promenade, 750 m to the north-west from Ashkelon Marina. 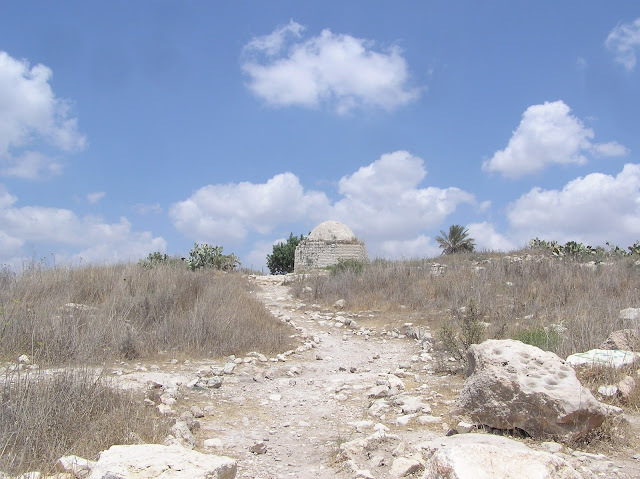 This maqam, located to the south of Rosh ha-'Ayin not far from Migdal Afek (Migdal Tzedek), is situated on a hill and is clearly visible from many points. However, as you get closer to this monument you can’t help but feel puzzled by what modern restorers did to it. Thick layers of plaster alternate with the old masonry. 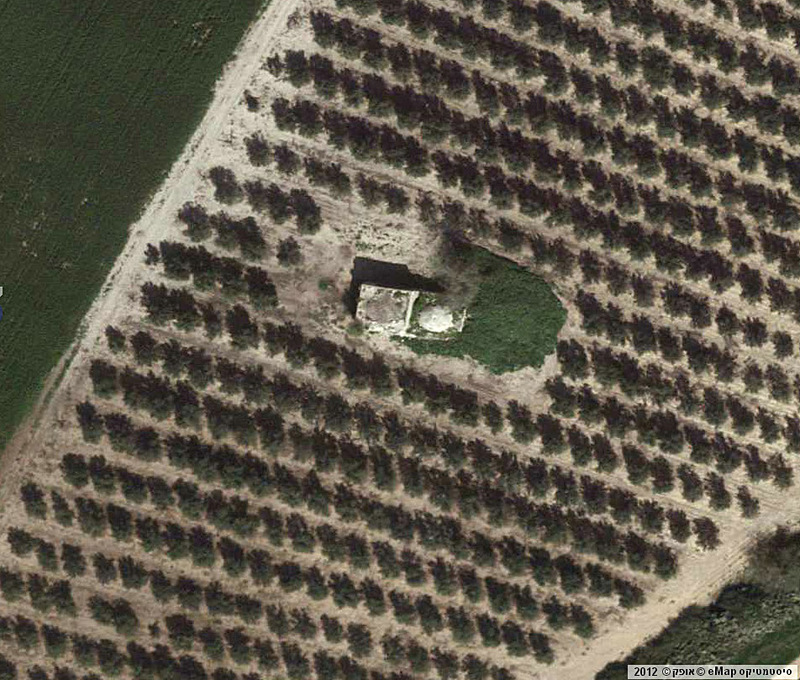 But that’s not all – one side of the maqam is tiled just like ordinary houses. All this seems pretty tasteless, like a fashionable cap put on a top of sheikh’s turban. But the restorers seem to consider their own work worthwhile, as they’ve put up a small fence around the maqam. Judging by the old photographs, even back than the monument was in poor condition and probably in need of restoration. But not of such kind. About sheikh Baraz ad-Din C. Conder says that he distinguished himself in the wars with the Crusaders (SWP II 361). 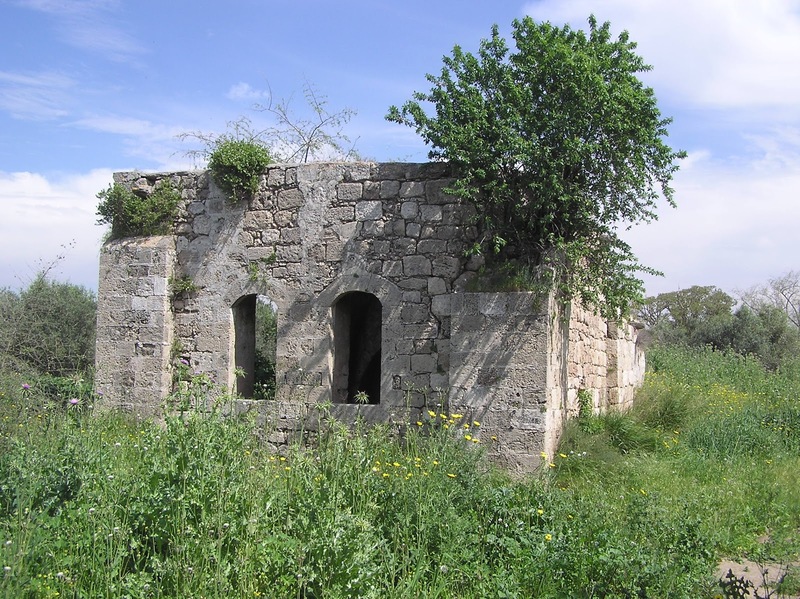 According to another tradition a local saint, sheikh Muhammad as-Sadiq, was buried here (Finn 1868, 135; Clermont-Ganneau, ARP II 158). 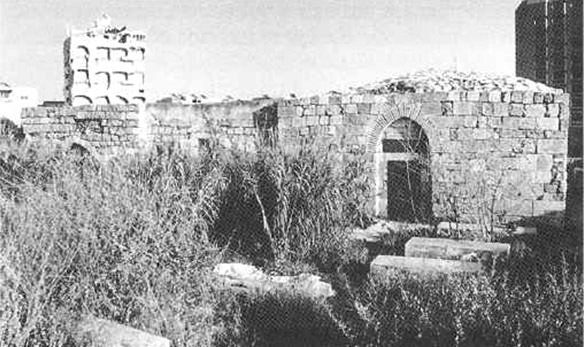 In Mandate times the area around the tomb served as the village cemetery. 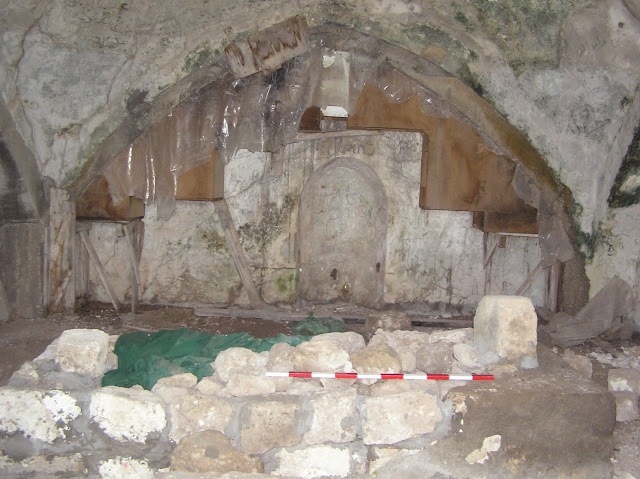 In 1994, A. Petersen saw the remains of the cenotaph on the floor of the Burial chamber (2001, 215). 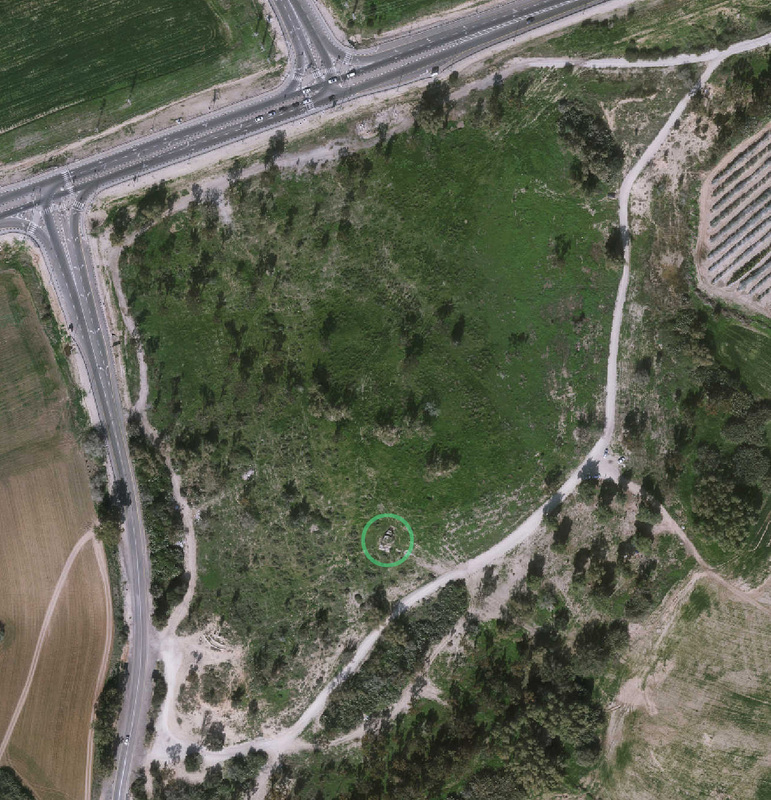 Quite an unusual maqam is located in the former Palestinian village Julis, to the east from moderm Ashkelon. 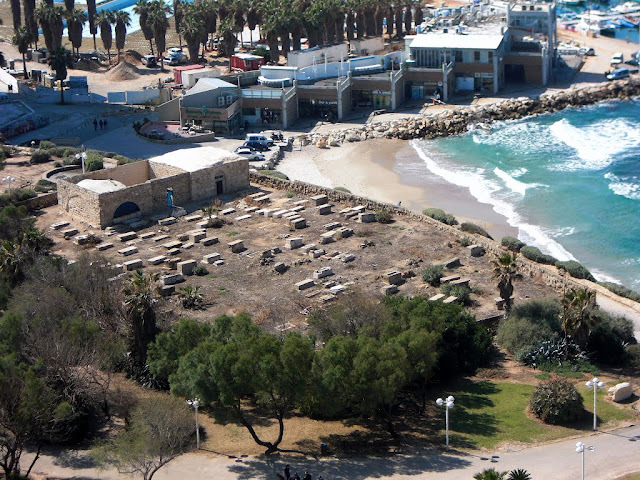 There is a stand where a Hebrew inscription reads, “Beear (a well) Julis. 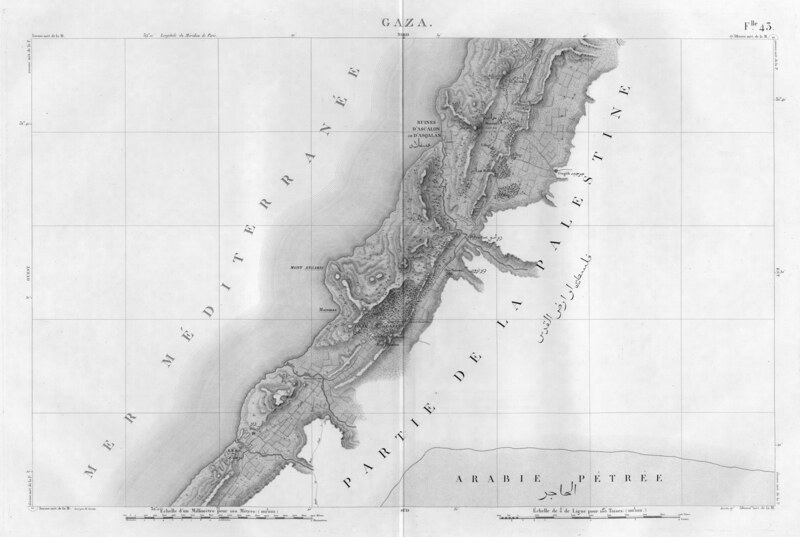 A French explorer V. Guérin has visited Erez Yisrael (The land of Israel) 8 times and he described his visit to Kfar Julis in his book “Description of the land of Israel”, in “Judaea” volume which was published in 1868: “At 6:15 we reach Julis Gardens which are separated from each other with a cactus hedge. At 6:25 we enter in the village. 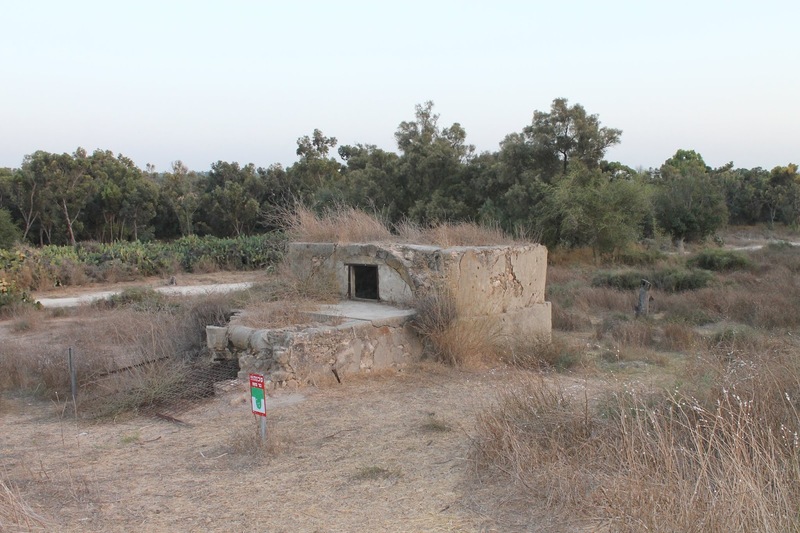 It is located on the hill and populated with around 500 residents. In a wely dedicated to sheikh Muhammad I notice a row of ancient not big cut stones. A few wreckage of marble columns lie over the well and around a watering tub”. It is a surprise that V. Guérin describes exactly the same what our eyes see 100 years after him. 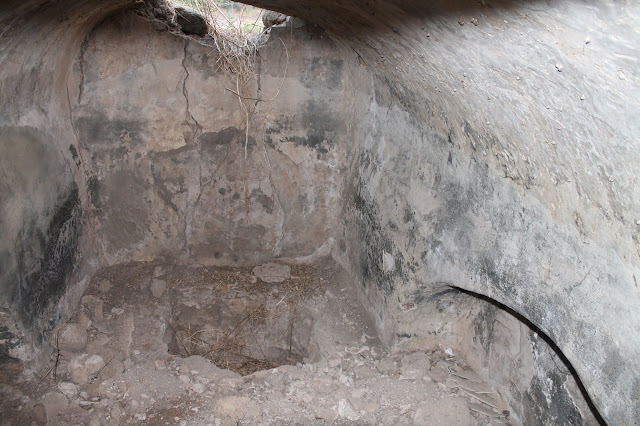 The building of Shiekh`s Muhammad tomb is united with a wely, there are burial niches inside the tomb and watering troughs around, and a wreckage of grindstone and marble columns near the well opening”. 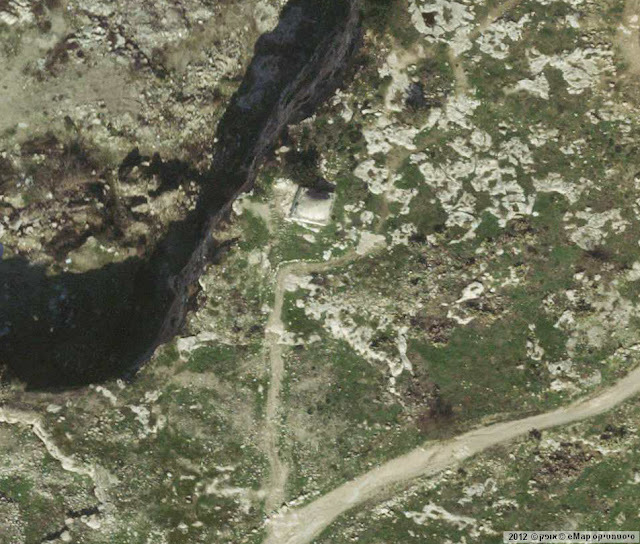 It is worth mentioning that the deep well is located directly in front of the building, on its northern side. The structure obviously never had a dome. There is no mihrab inside, but a few deepenings on the floor and some half-round niches in the western and eastern walls, which hardly can be taken for burial ones. 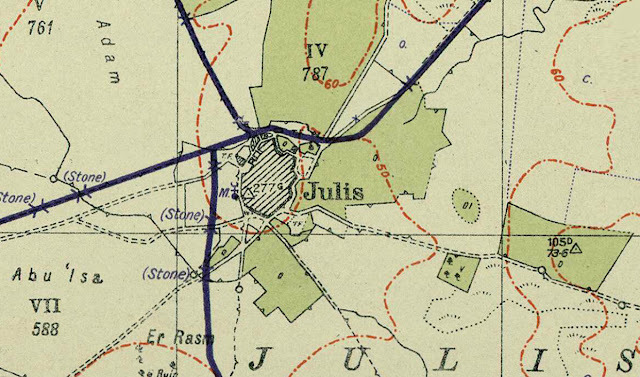 We should notice that V. Guérin is the only one who mentioned a shrine-wely in Julis. 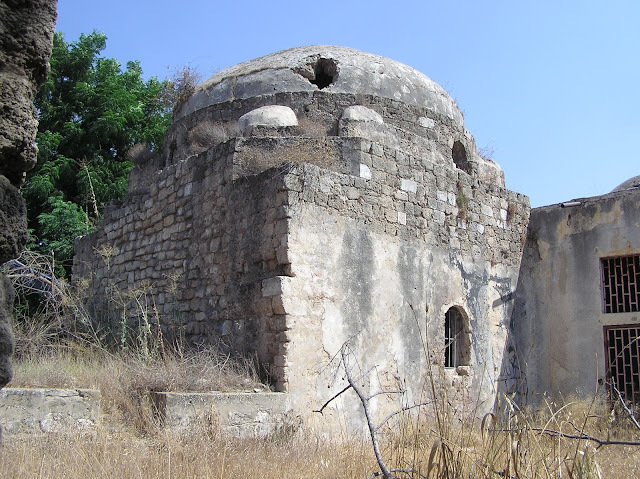 Other explorers did not speak about the maqam or sheikh`s tomb in terms of Julis. 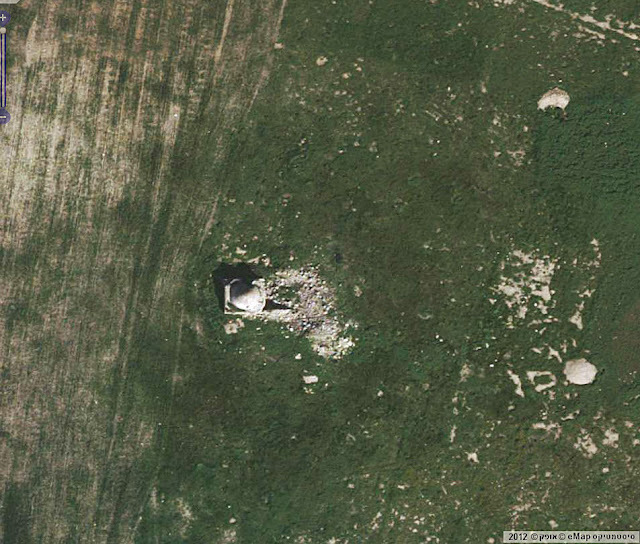 There`s no such shrine on the PEF or British maps of this region. It`s no doubt that V. Guérin is a trustworthy source. Though sometimes it happens that such authorities can be not precise or can add something extra to the facts (reference to Qubbat an-Najma). 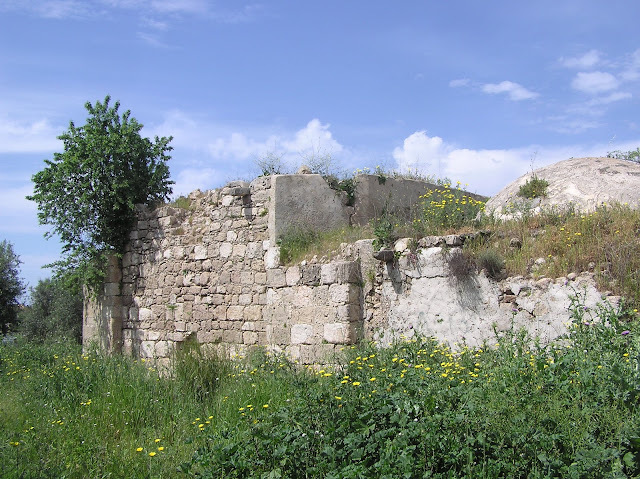 The building with the well is the only that has been saved from the Palestinian village Julis. 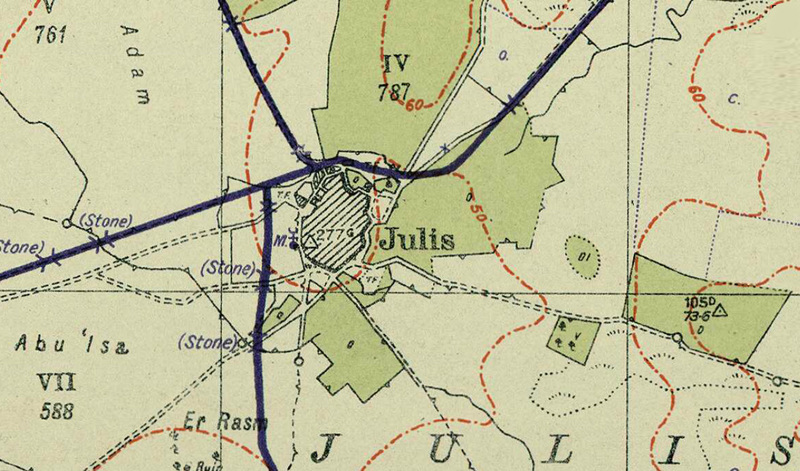 On the detailed British map of 1942 there marked a mosque on the western border of Julis, about 100-150 m away from the well. 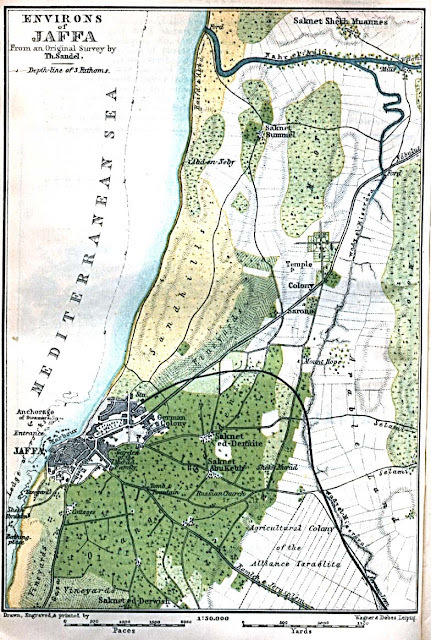 One should keep in mind that British maps are rather accurate as they are made on the base of aerial photo shooting of the area. 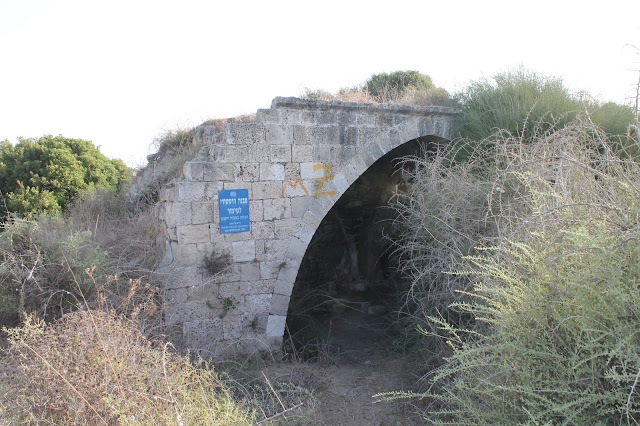 Route: The former Julis is located on the crossroad of Highway 3 and 232, near the crossroad of Hodaya. The building is not visible from the Highway. The most comfortable way to reach it is from the side of a Memorial near Highway 232. 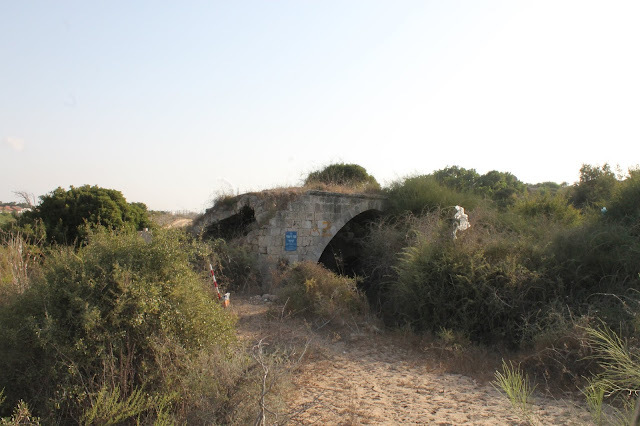 On the territory of Ashkelon National Park there is a former Palestinian village al-Jura, nothing saved from it but one building half covered with sand and thorn bushes. It is the main Muslim shrine of al-Jura – the Maqam of sheikh Muhammad al-Musli which means “from Mosul” (Palmer 1881, 362). This sheikh came to Palestine from Iraqi city Mosul. The maqam is well known to European explorers of the 19th century. 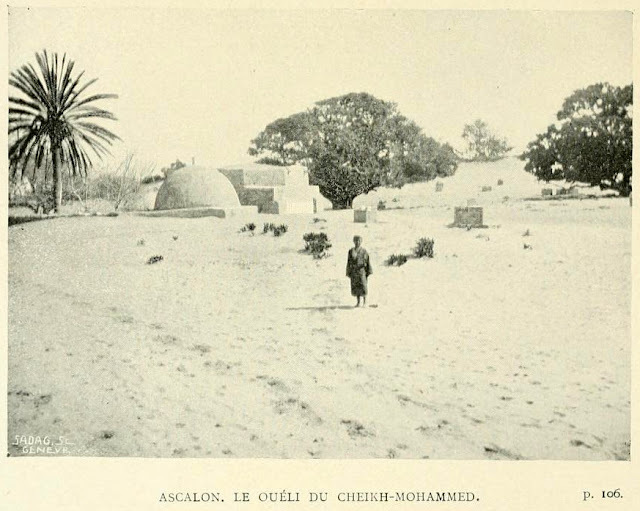 In 1831 M. Michaud visited it and describes as “the ruins of an ancient mosque standing on a sandy hill” (1834, V 380). It means that by that time this shrine has already been a few centuries old. In 1852 C. Van de Velde found this building being quite renovated. 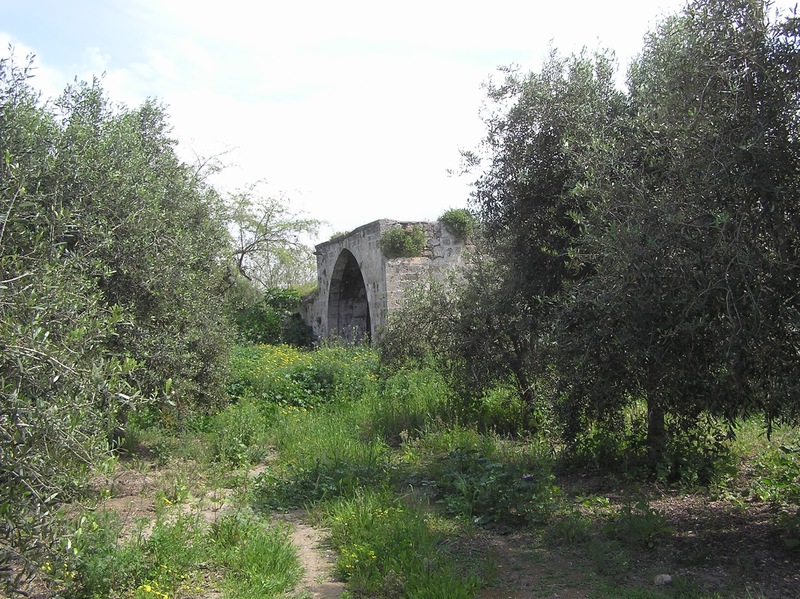 Then V. Guérin mentioned this maqam, “In the valley near the eastern gates (of Ascalon) there is a wely dedicated of Sheikh Muhammed; it stands in the shadow of a few beautiful algarobas and sycamores” (Judee II 142). 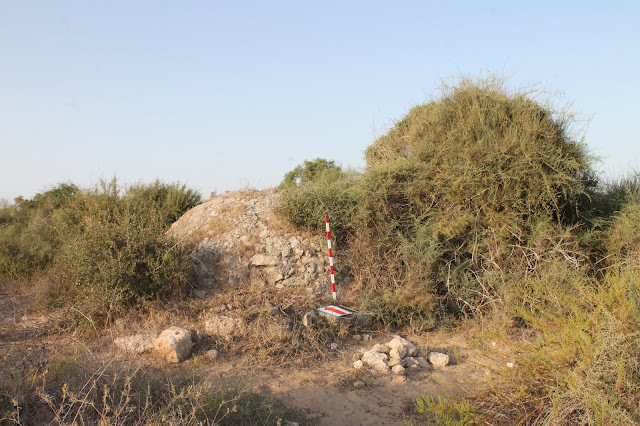 C. Conder writes as follows, “At Ascalon there is a tradition of a tomb found in the cemetery near Sheikh Muhammed el-Musli, immediately outside the walls on the east. An embalmed corpse was found there some thirty years ago, with a sword and ring. The persons who opened the tomb died soon after, and the tomb is now held sacred by the peasantry” (SWP III, 255). It`s interesting that at that time the maqam was occasionally covered with sand. 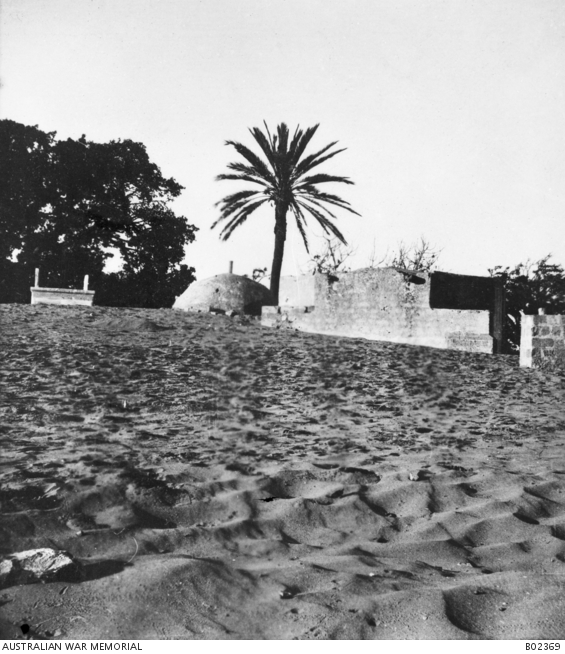 A French traveler L. Gautier describes, “In the shadow of a few wonderful trees, such as sycamores, algarobas and palm trees there is a picturesque welli, dedicated to Sheikh Muhammed. 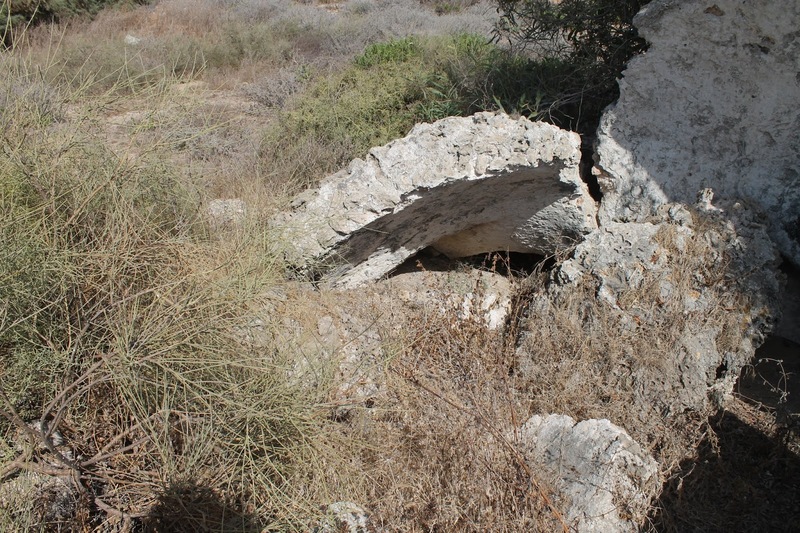 There are a few tombs around it, all covered with sand, a thih but compact layer (fr. ténu mais compact), so that neither horses nor people leave footprints like those in the snow” (1898, 106–107). A russian traveler A. Olesnitsky commented this maqam, “Before leaving Ascalon, we visited the newest Mahommedan mosque located in valley Vadi el-Nemel to the east from the city. 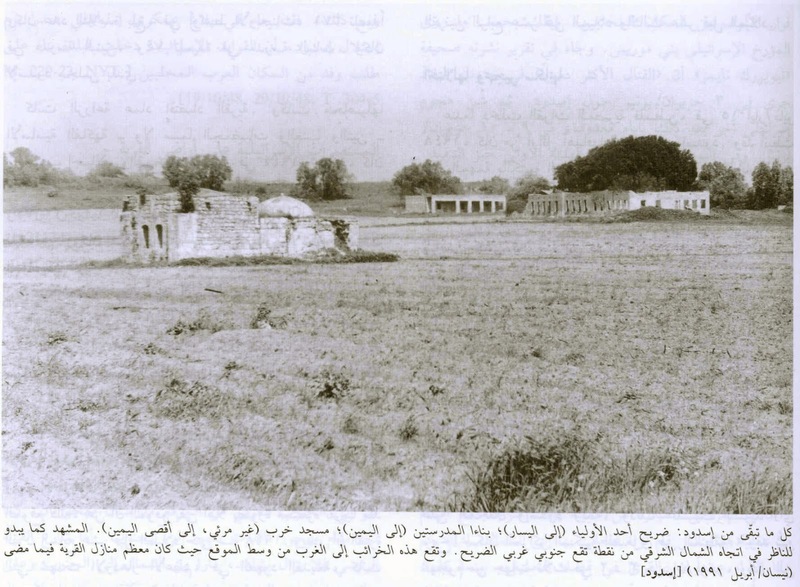 The Mosque is dedicated to Sheikh Mohammed and surrounded with trees among which there is the newest cemetery of village Jura” (II, 204). It`s worth mentioning that in 1874 this maqam called mosque was taken by the traveler as a new recently built structure. The Archaeological Survey of Israel says, “Domed Sheikh’s tomb (partly ruinous and covered with sand) at foot of E wall of Tel Ashqelon, built of unhewn kurkar blocks and mortar, and coated with white plaster. 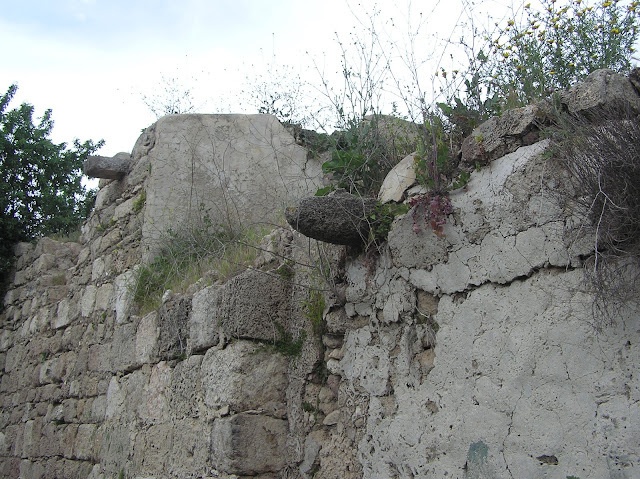 The ancient portion of the structure is well built of dressed stones. 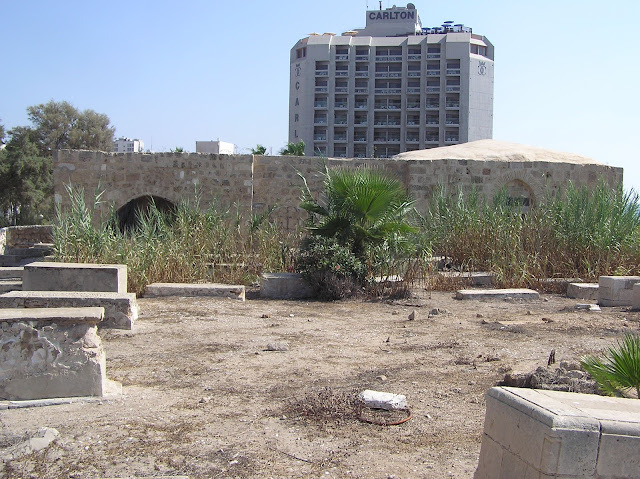 On its N side is a courtyard enclosed by a stone fence; inside the courtyard are a cistern and a column of gray granite, protruding from the sand. 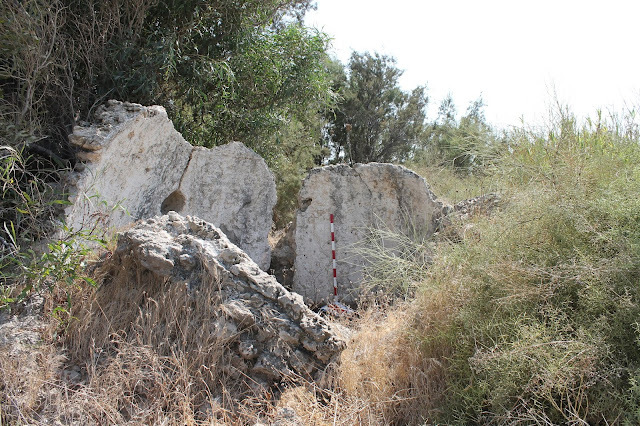 Nearby, to E — a Muslim cemetery (c. 4 dunams): graves, whose tombstones are constructed of stone and cement”. Now only a few tombstones from a Muslim cemetery are left. As for the maqam itself, it is consisted of, firstly, a domed chamber where there is a mihrab but a cenotaph is totally destroyed. 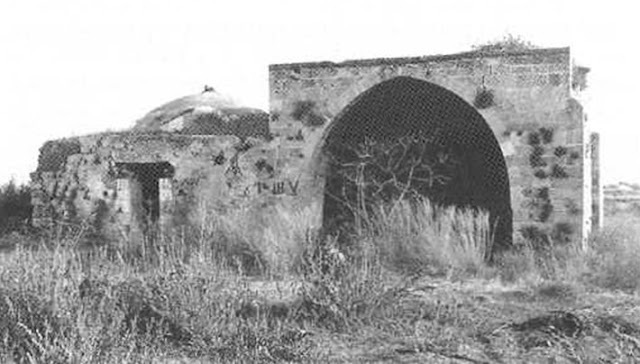 Secondly, a high Iwan sides with the domed chamber from the east, its wall decorated with beautiful curved arches. The E wall of Iwan is 5.80 m long. The entrance to the Iwan is through a wide arch in the S wall. There is also a mihrab, and it means that the Iwan was used a Prayer hall. A small yard used to border with the shrine from the north. But it is very difficult to find its vestige. 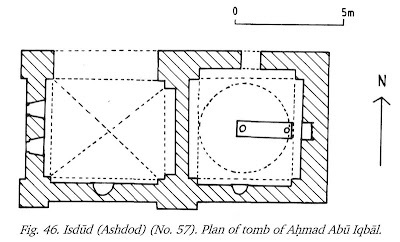 The destiny of Muhammad al-Musli tomb is similar to those of Maqam al-Khidr (see above). 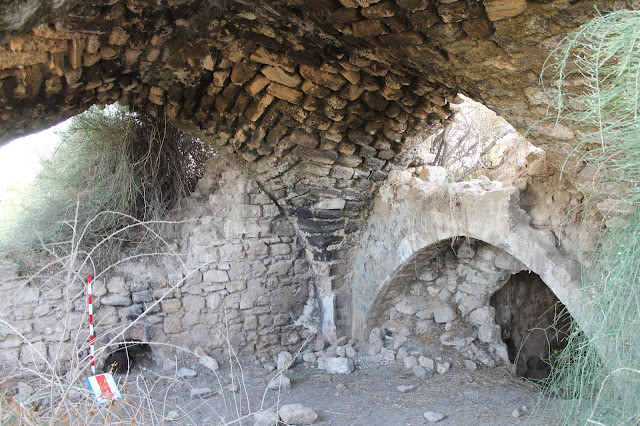 Nevertheless, the structure has been still destroying even though it is located in the National Park. 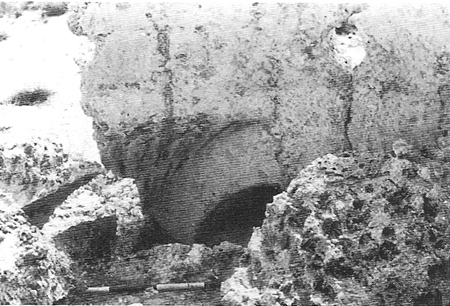 Parts of E and S walls of the Iwan have been destroyed, the dome and E wall of domed chamber are badly damaged. Route. 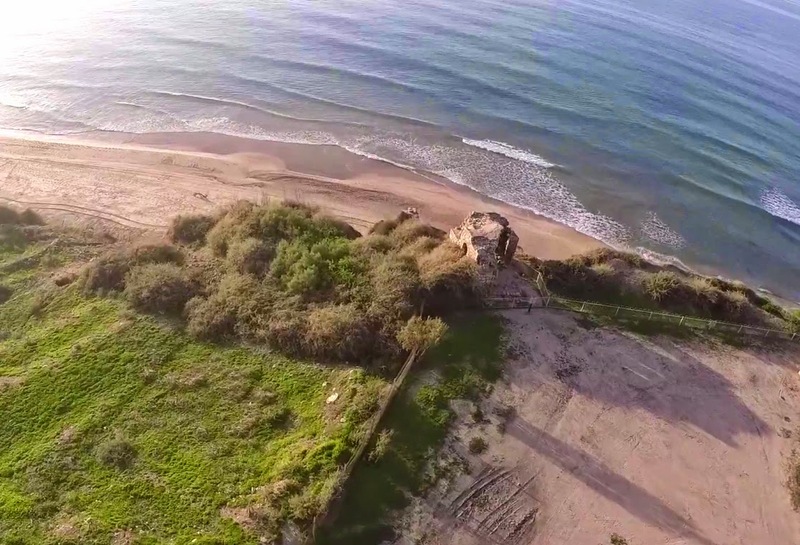 The maqam borders with the fence and E gates of Ashkelon National Park. 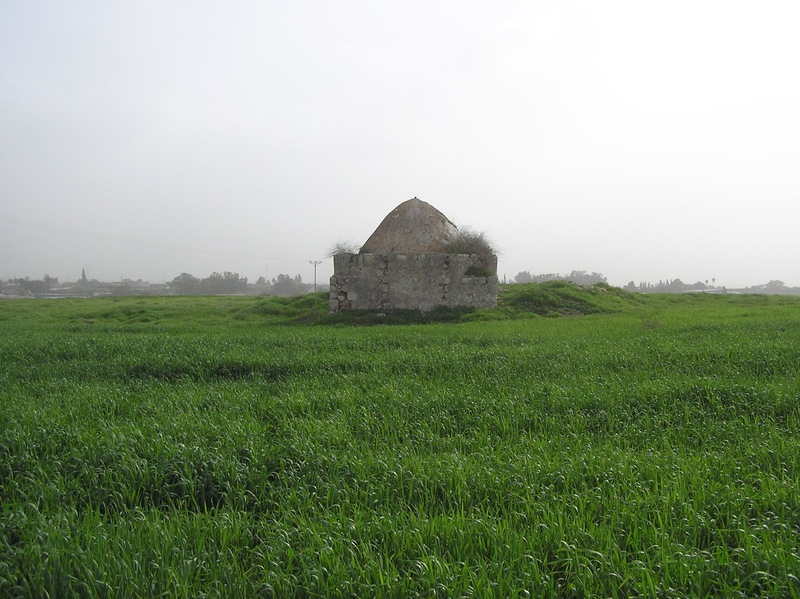 Salama Abu Hashim, the companion of the Prophet Muhammad, was buried in a village named after him – Salama. 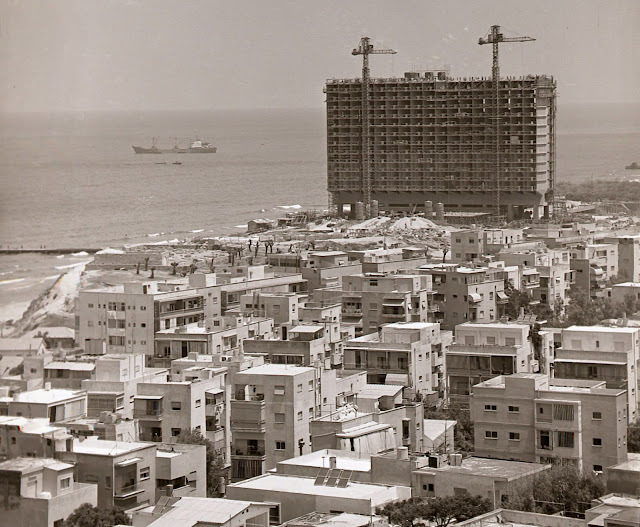 Now it is the Tel Aviv district of Kfar Shalem. The tomb is located inside the mosque, which is now closed from all sides. Entrance to the tomb in the north wall is bricked up. 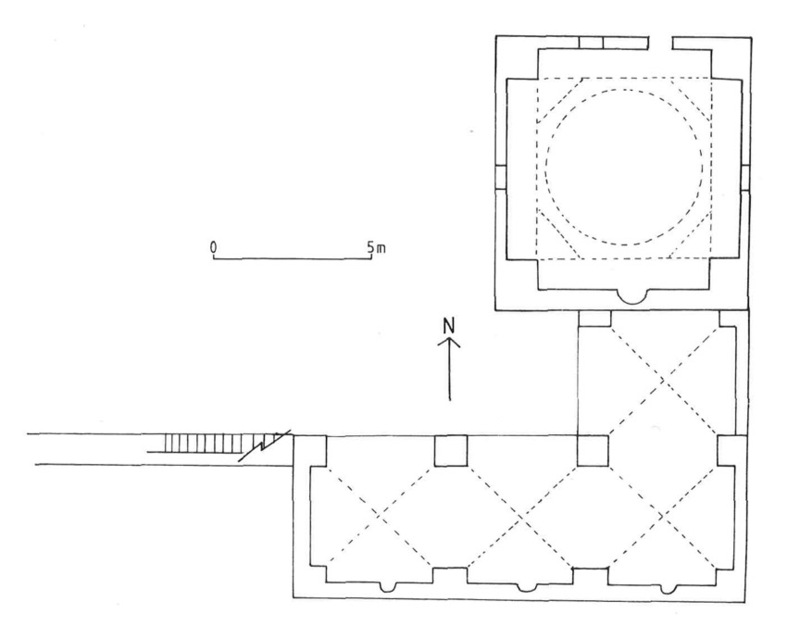 In 1993 A. Petersen examined all the premises and gave such description: “The mosque is a rectangular complex comprising, a walled courtyard, a maqam, and a Prayer hall. The main entrance is a gate in the north wall of the courtyard. To the left (east) of the entrance is the maqam and straight ahead is the Prayer hall. In the north-east corner of the courtyard is an entrance to a cistern. The maqam is a square domed building attached to the Prayer hall to the south. The interior is a spacious area with no extant traces of a cenotaph or grave. 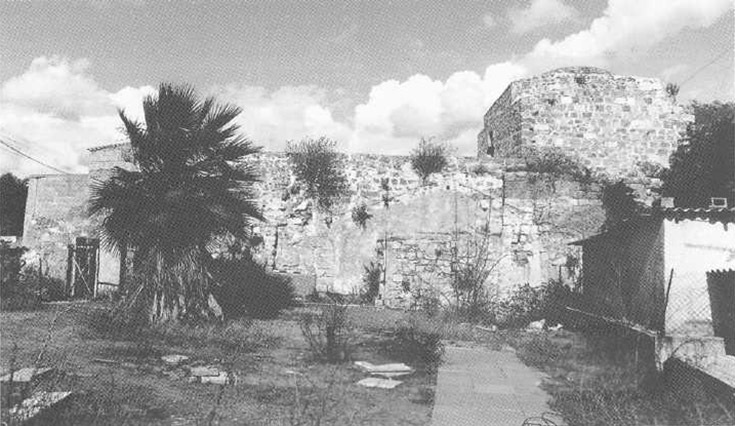 In the centre of the south wall is a plain plaster covered mihrab.” (2001, 271). Route. 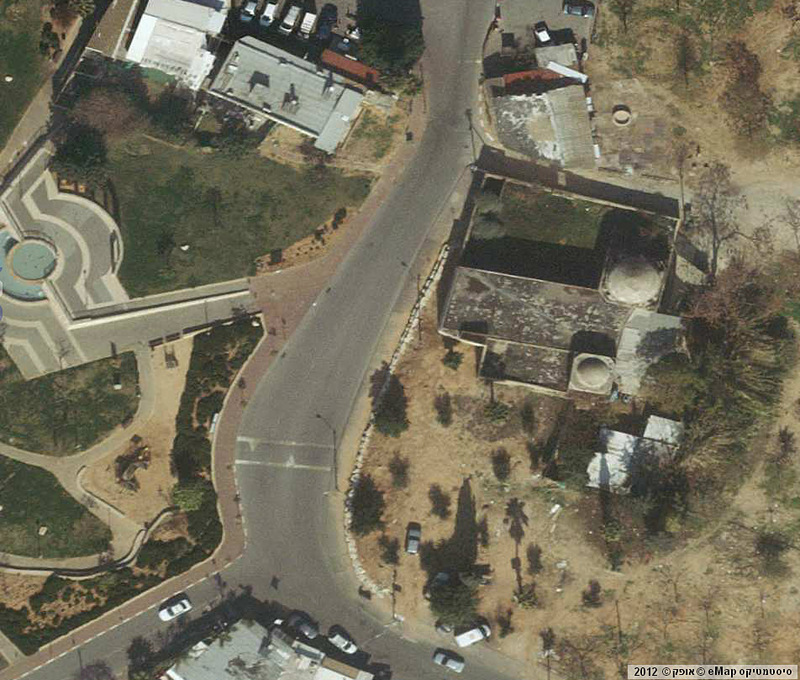 In Kfar Shalem drive to the central park – Rosh ha-Kfar Park. 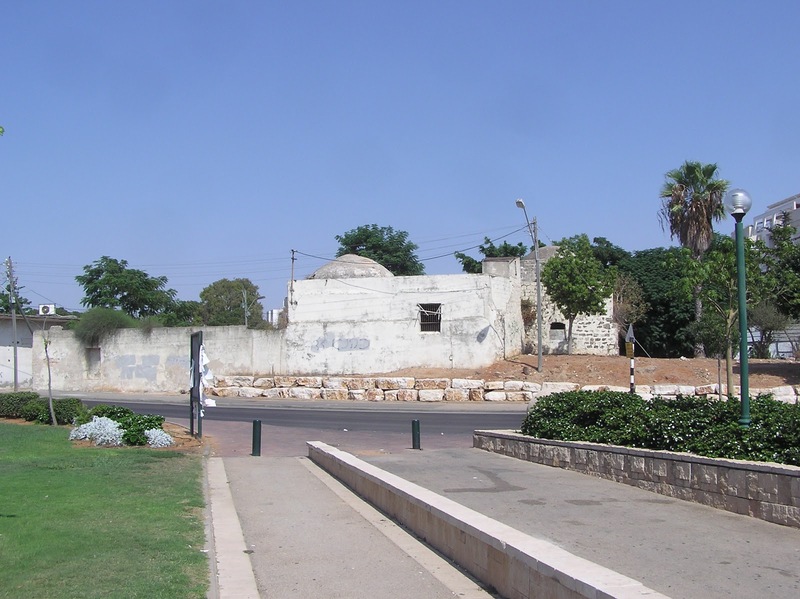 To the east of the park, across the street, there is a former Mosque of Salama Abu Hashim. 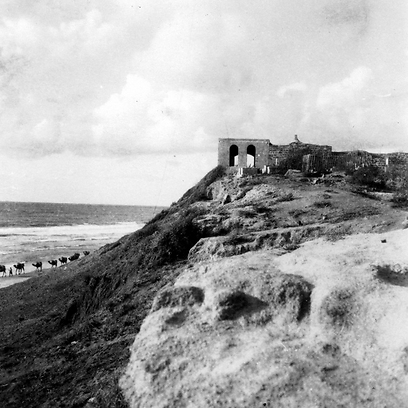 Remains of the Muslim shrine are almost invisible in sand dunes near a famous fortress Minat al-Qal‘a (now – Mezudat Ashdod or Ashdod Yam). It is totally covered with sand, on the surface there are only the wreckage of the dome, hidden with thorn-bushes. 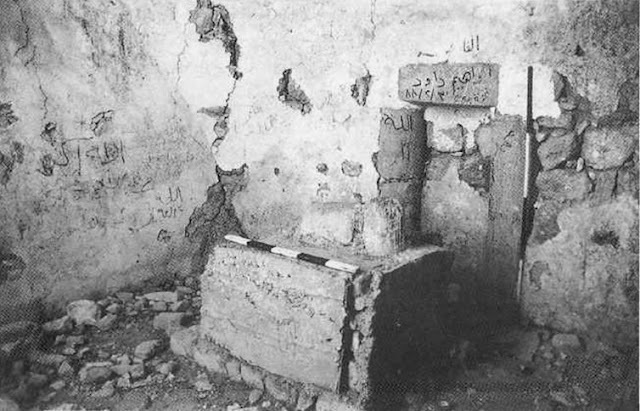 The researchers of the 19th century did not mention this shrine, though often described Minat al-Qal‘a. 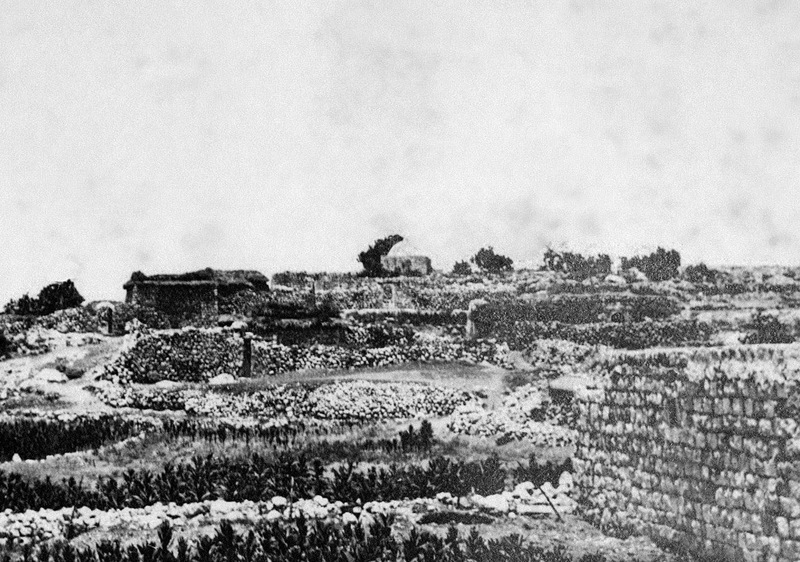 Although C. Clermont-Ganneau watched a few objects nearby the fortress, which he wasn`t able to identify: “Quite near, 011 the west, is a group of small mounds with numerous architectural fragments of marble, pointing to the existence of an important building, and quantities of mosaic cubes. This part ought to be explored (ARP II 191)”. 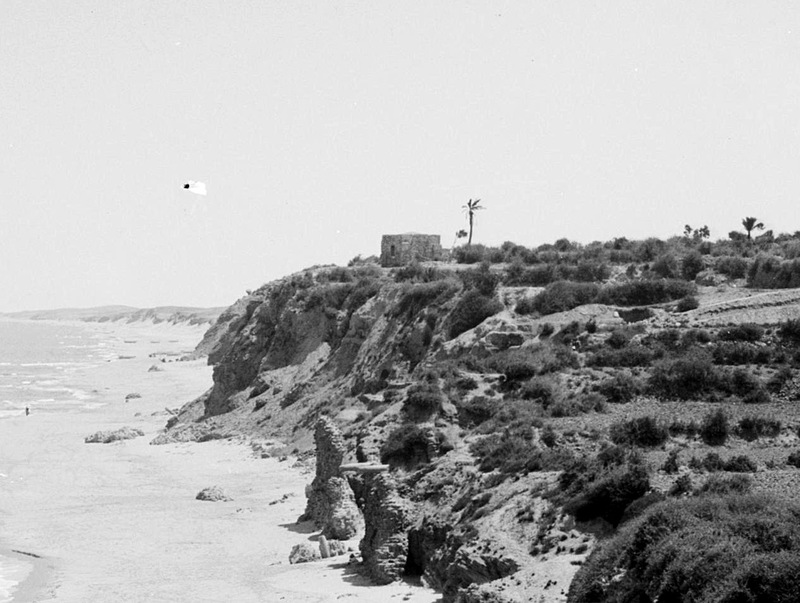 Minat al-Qal‘a stands on the sea shore, the sea splashing to the west from the fortress. Obviously, C. Clermont-Ganneau made a mistake, and it should be “to the east from the fortress”. The Archaeological Survey of Israel describes this object as follows, “Remains of a sheikh's tomb (c. 8 × 12 m), apparently from the Early Islamic period, protruding from the sand E of the fortress at H. Ashdod Yam. The tomb's walls are constructed of small, unhewn kurkar stones bonded with lime-cement; strips of light-colored plaster, comprising sand, lime and seashells, survive. 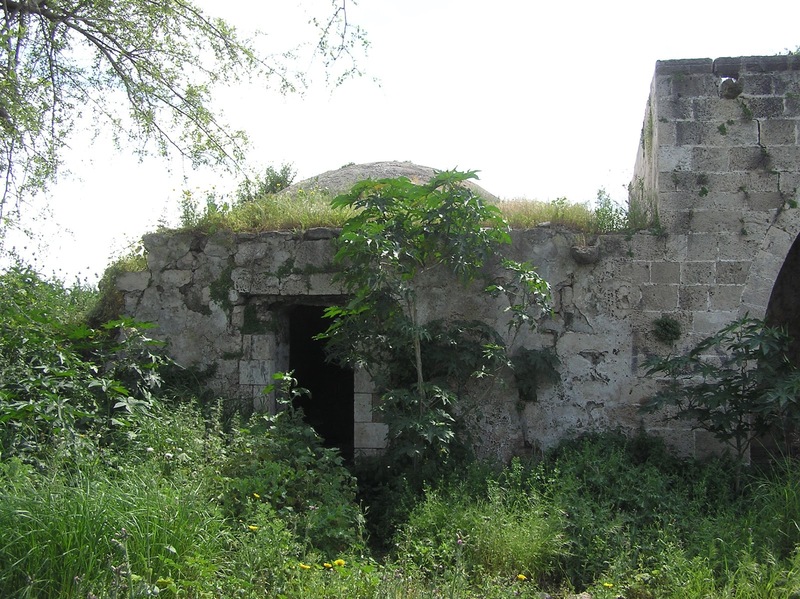 The structure is roofed with an ovoid dome (diam. 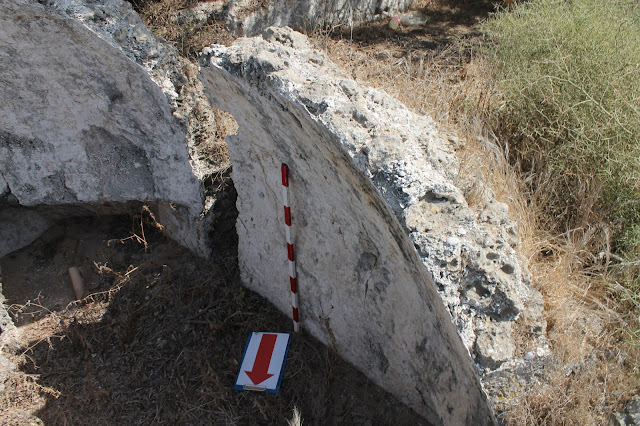 6 m), which has six oval transoms (each 0.2 × 0.2 m). Traces of a red geometric design were observed on the W side of the dome. 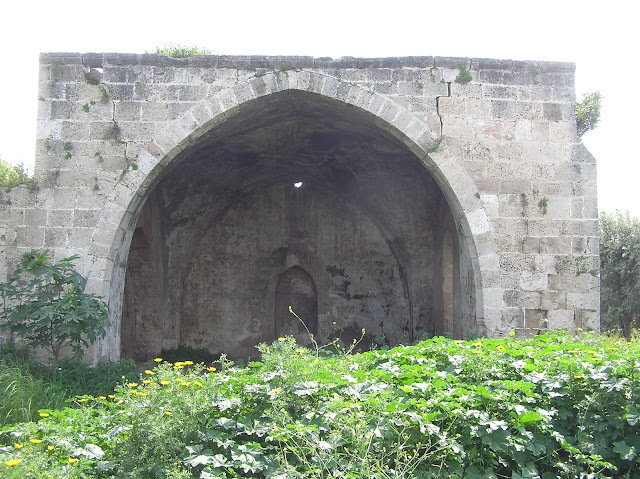 Inside the building was the upper portion of the mihrab (prayer niche) and remnants of arches, which supported the dome”. Remember that now only the wreckage of the dome are on the surface. 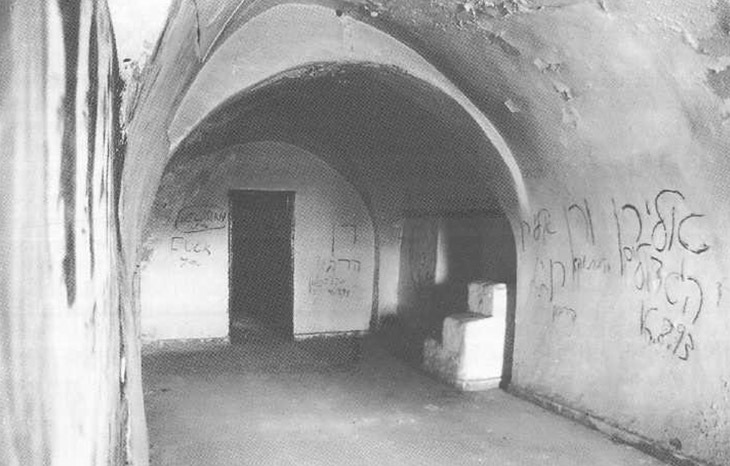 The mihrab and curved arches, if they are, are buried in sand and clay. And here come an intrigue. A. Petersen also mentioned this structure and defined it as a Bathhouse, “Approximately 100m to the east of the fortress there are the fragmentary remains of a bathhouse. The ruins are filled in with sand up to a level just below the springing of the dome, part of which is still standing. The dome has a tall ellipsoidal profile and is perforated by several circular holes (0.25m diameter). 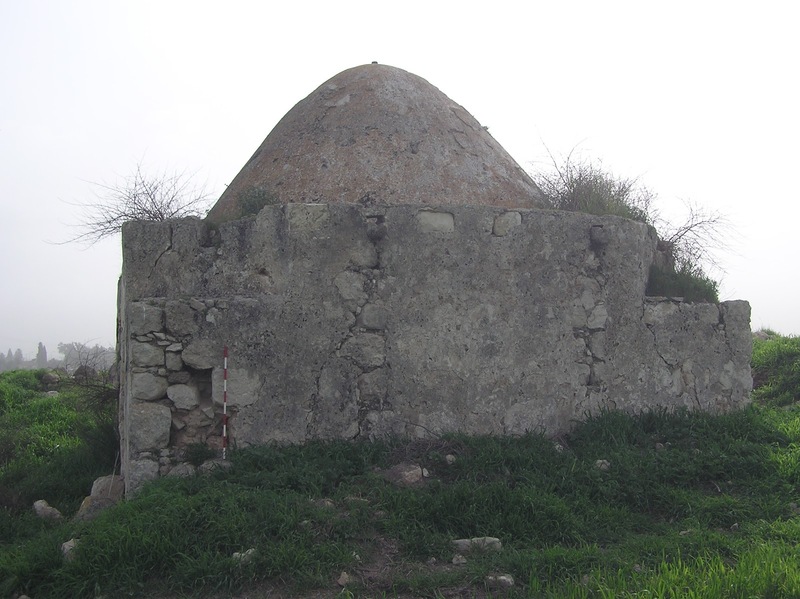 The dome rests on scallop-shaped squinches and formed the roof of a small square room. To the south of the main chamber is a stretch of wall 2.9m long which is probably part of the same building. 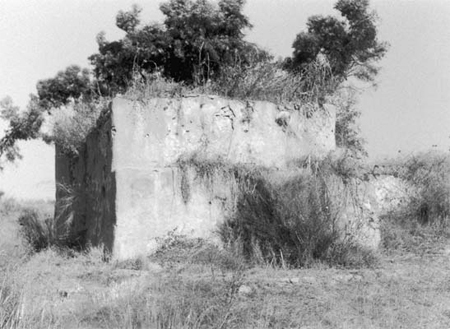 The walls of the building are made of thin blocks of kurkar stone similar to those used in the fortress. The dome is made from a mixture of kurkar rubble and white lime mortar with a high shell content” (2001, 160). The fact that A. Petersen described this very object and not another one, is proved with references to oval holes in the dome which are observable nowadays as well. So, what actually is this structure? An upper part of the mihrab in S wall is clearly observable on one of the old photos of this structure published in The Archaeological Survey of Israel. Consequently, it is indeed a Muslim shrine and not a Bathhouse, as A. Petersen thought. On the other hand, the dating age of the maqam (the early Islamic period) causes doubts. 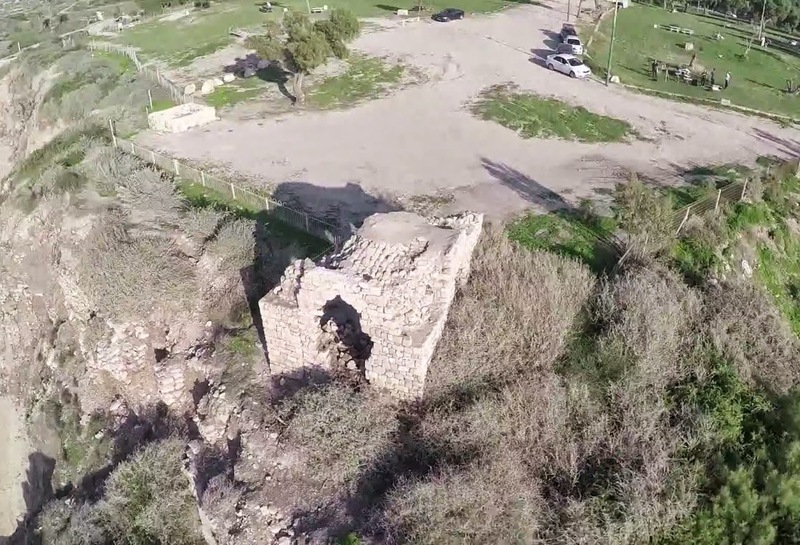 Photos and descriptions in the Archaeological survey of Israel have no confirmation to consider this structure more older than other similar coastal maqams ‘Abd an-Nabi in Tel-Aviv and sheikh ‘Awad in Ashkelon. All mentioned above was built in the Ottoman period. Route. The structure is located 200 m (not 100 m, as A. Petersen said) to the east from Ashdod Yam, near Ha-Shalon Square. There are so many sacred places in Israel that are holy to the Muslims. It was basically a Muslim state that has been occupied by the jews.